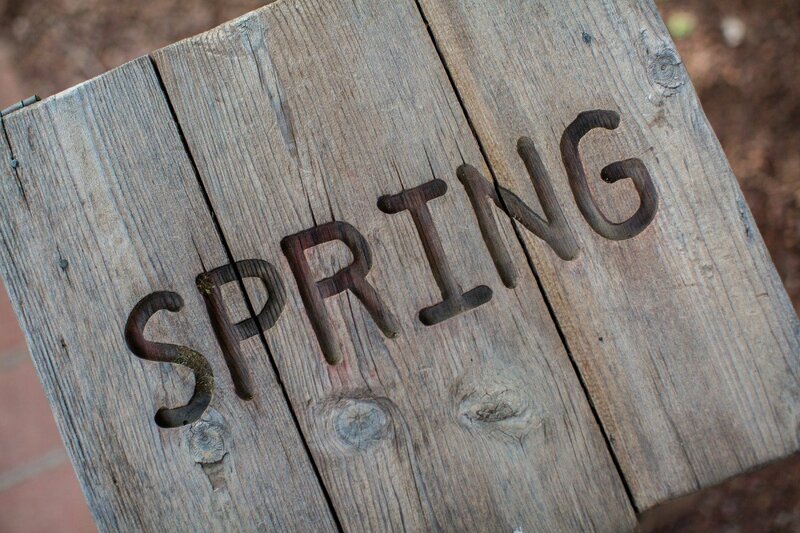 Spring breaks are like Christmas; every year they come rolling around, whether we’re ready or not. 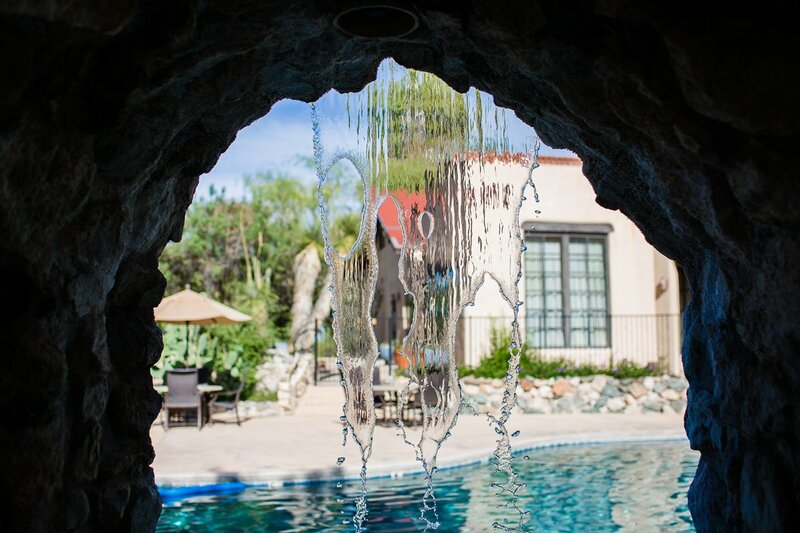 If your typical spring break consists of lounging around the house, plugged into the boredom-busters, listening to the kids fight while you catch up on laundry and Netflix episodes, consider doing something different next year when spring break creeps up on you. 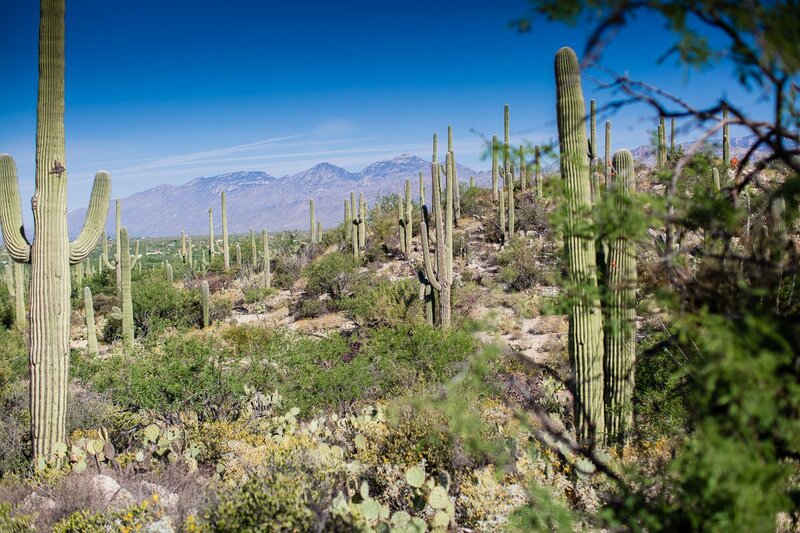 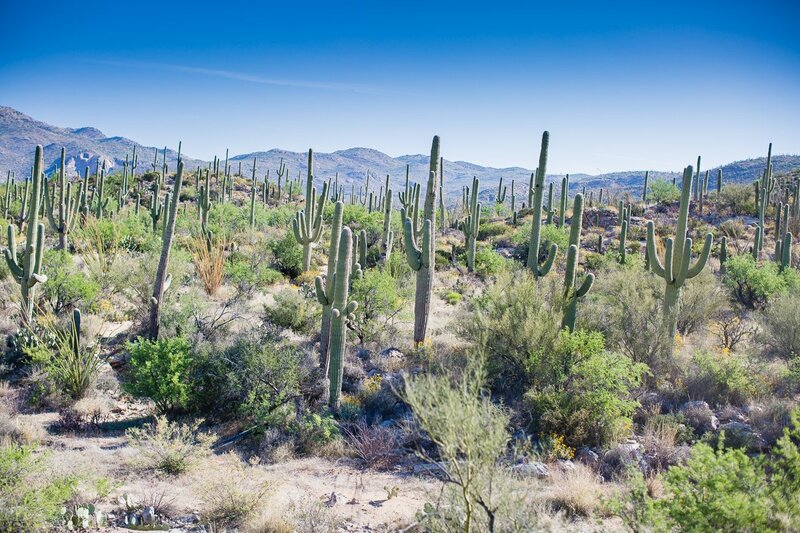 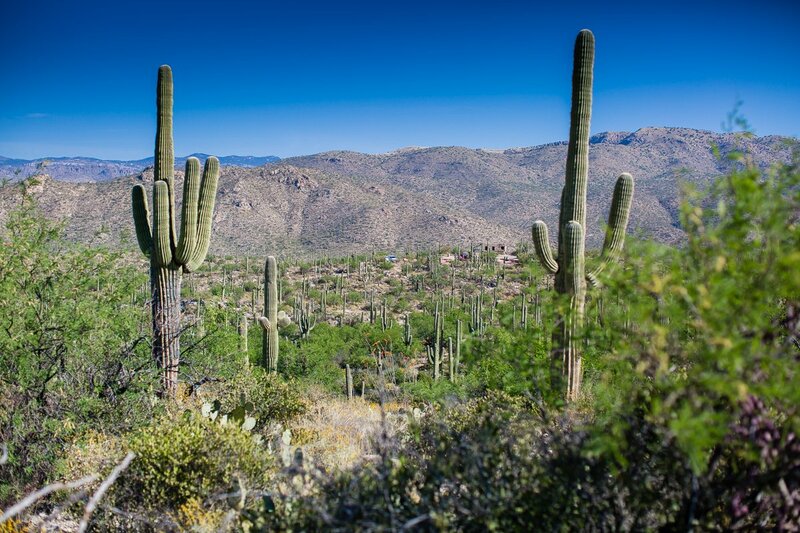 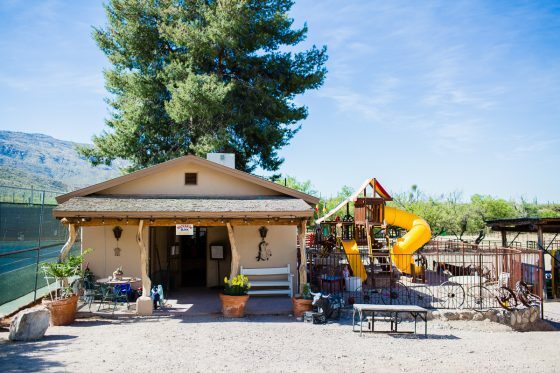 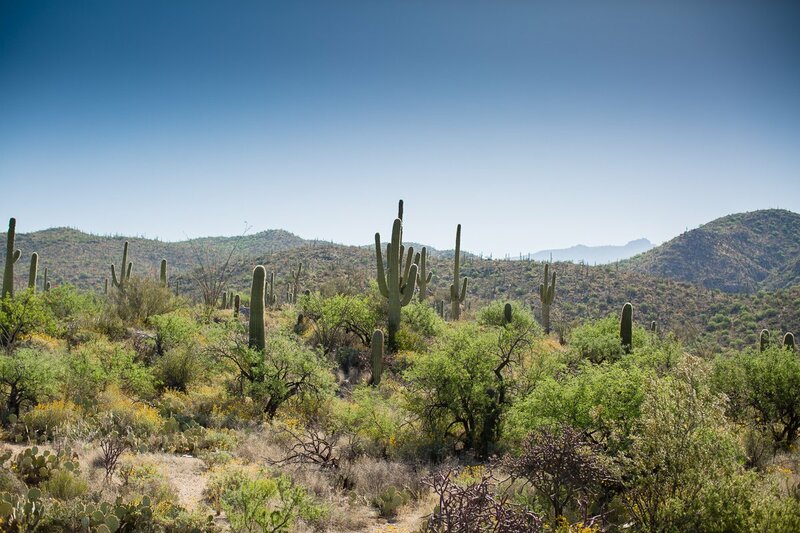 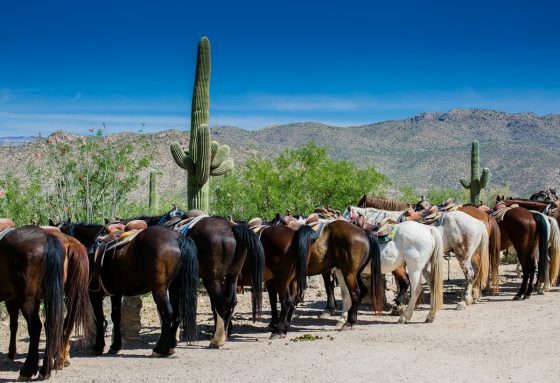 If you’re craving a bit of adventure and western flair, whether you live on the East Coast or the West, pack up the cowboy boots and hats, and take the family to a real life dude ranch in beautiful Tucson, Arizona. 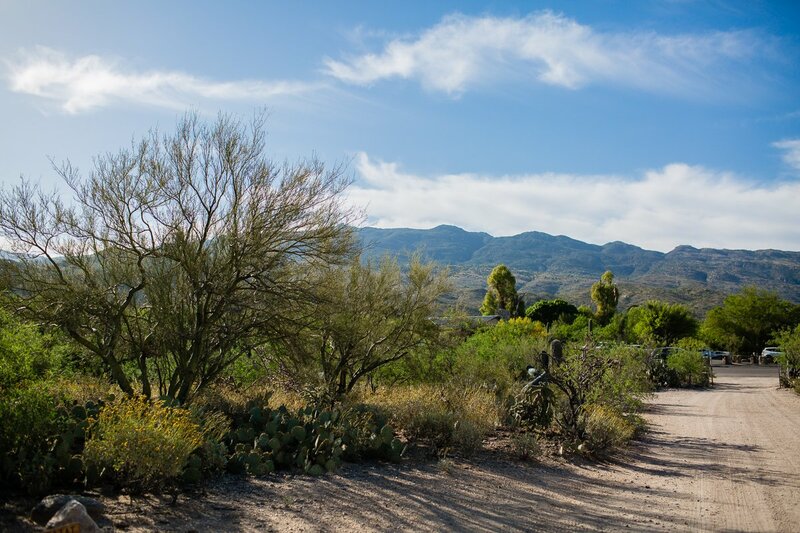 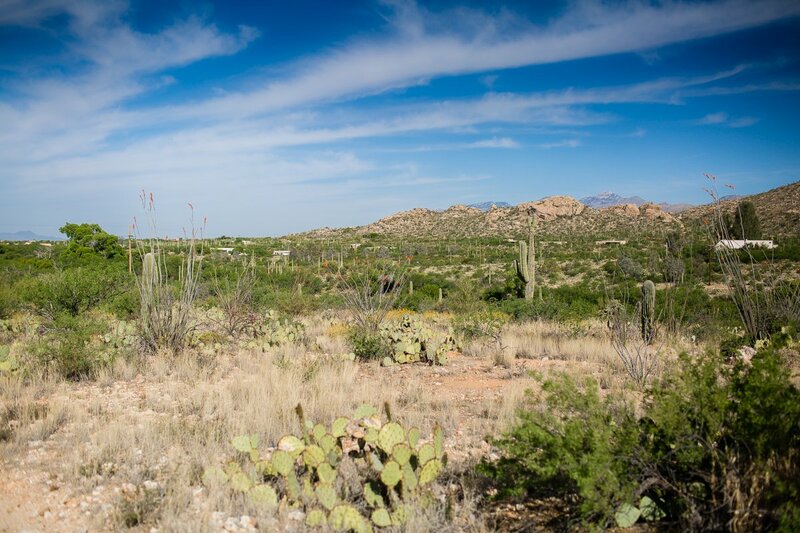 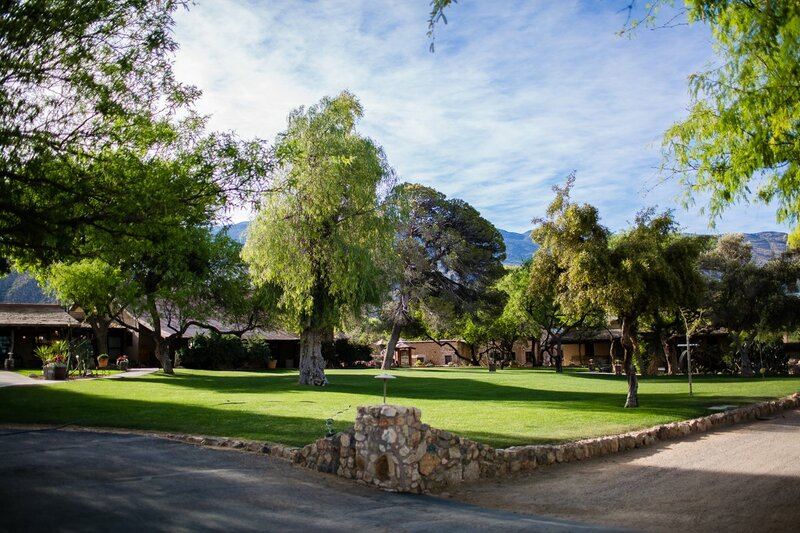 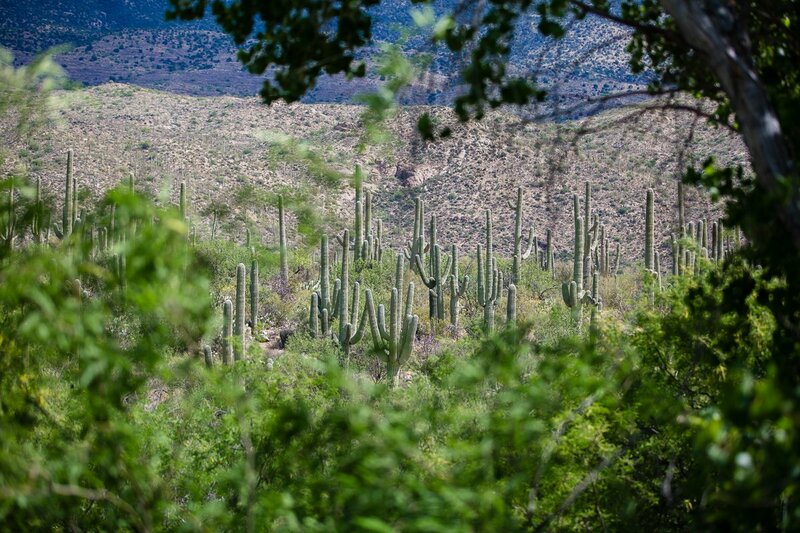 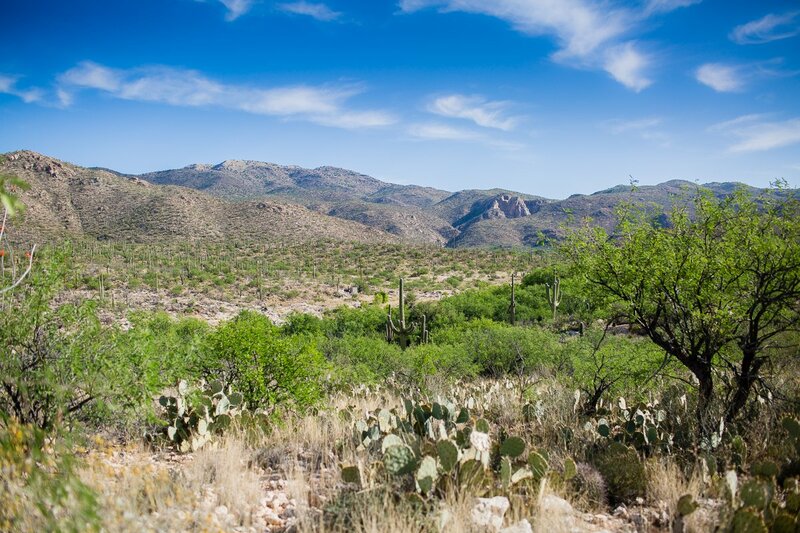 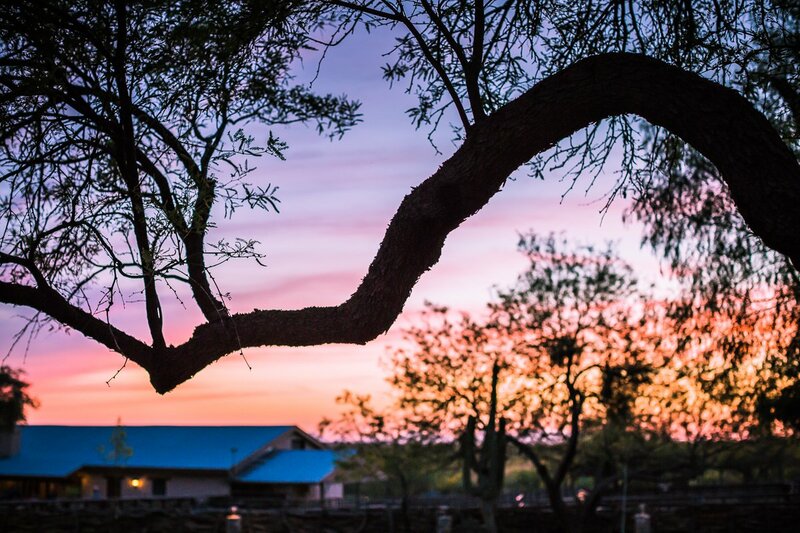 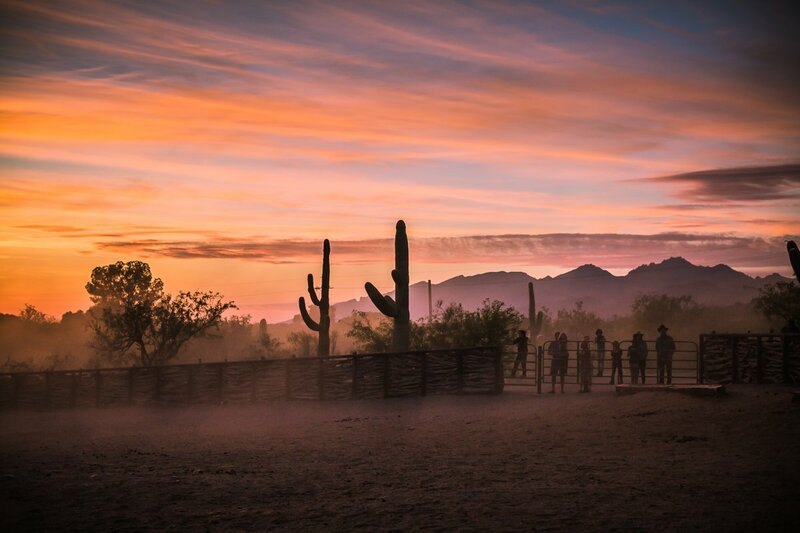 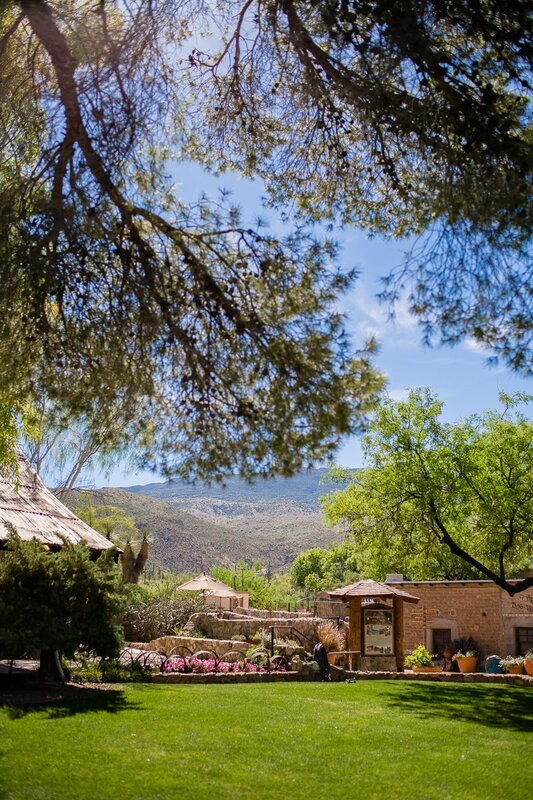 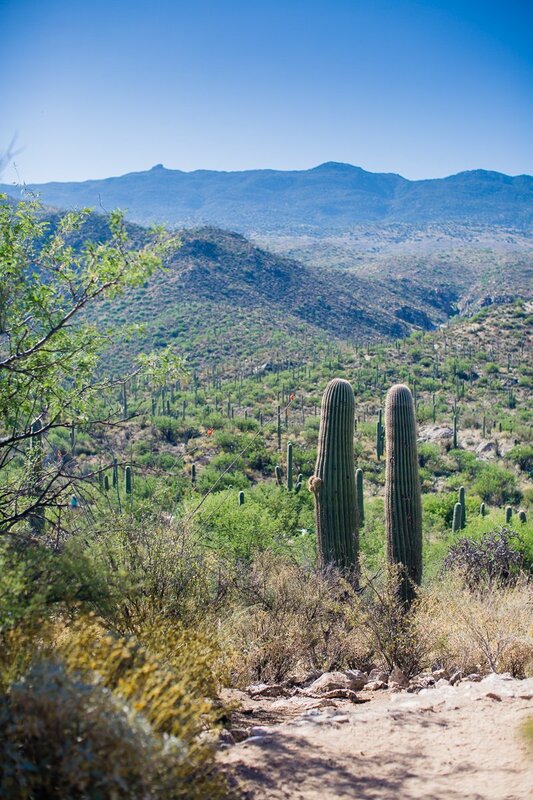 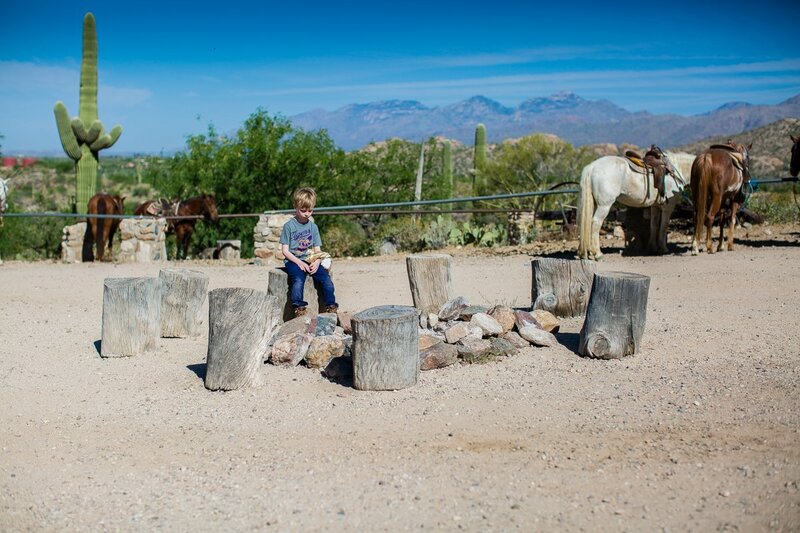 Tanque Verde Ranch is your answer to a week full of disconnected family bonding time, spent among the most stunning landscapes and wildlife that nature has to offer. 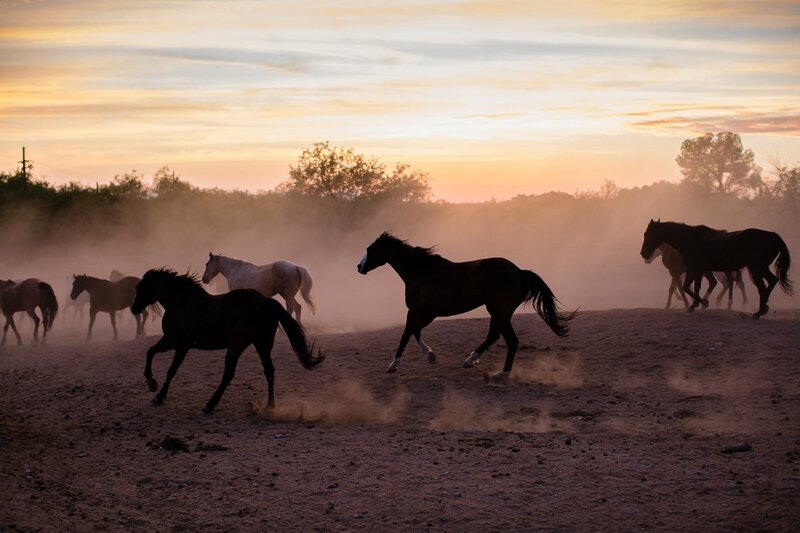 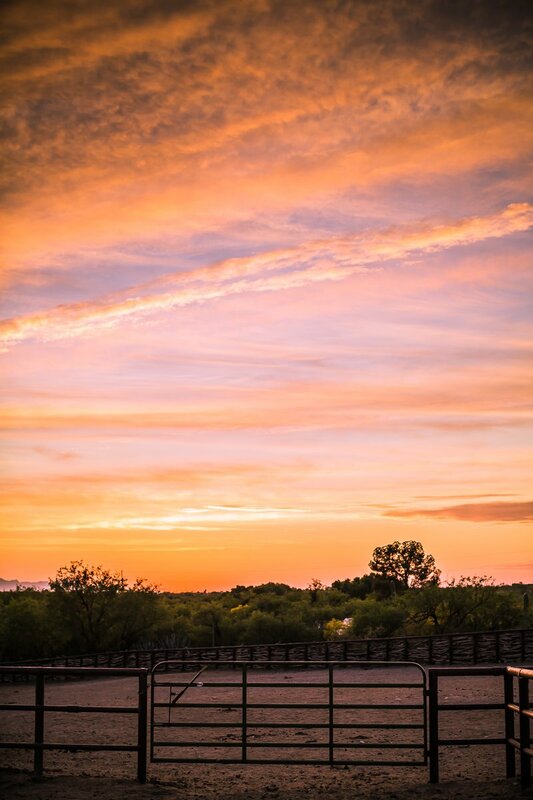 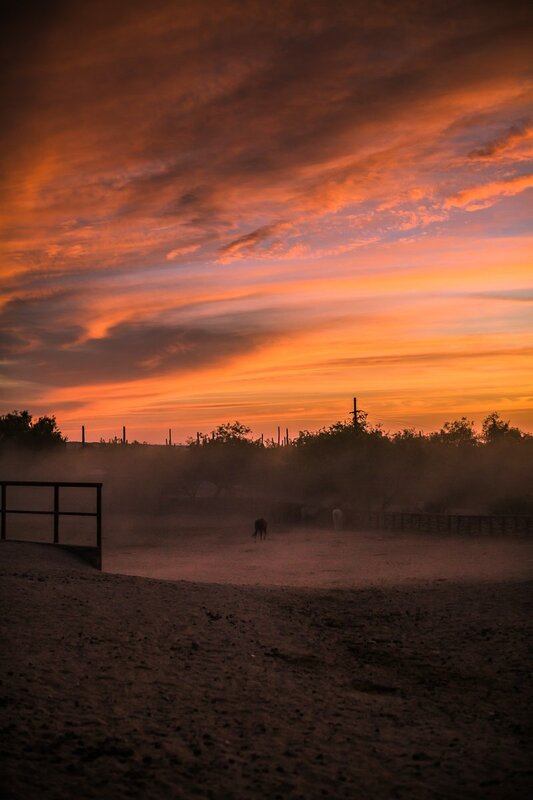 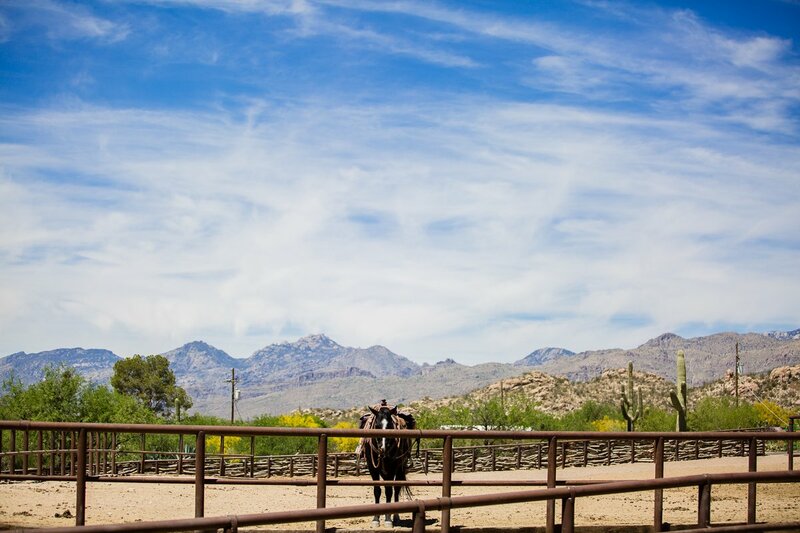 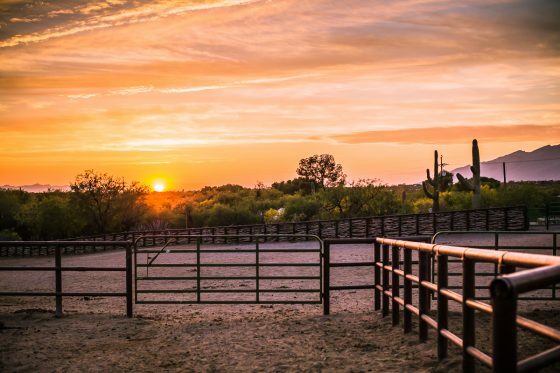 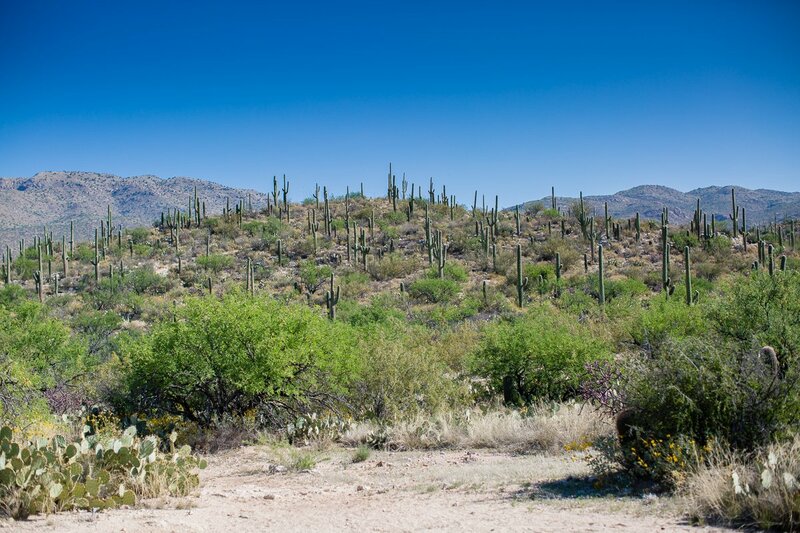 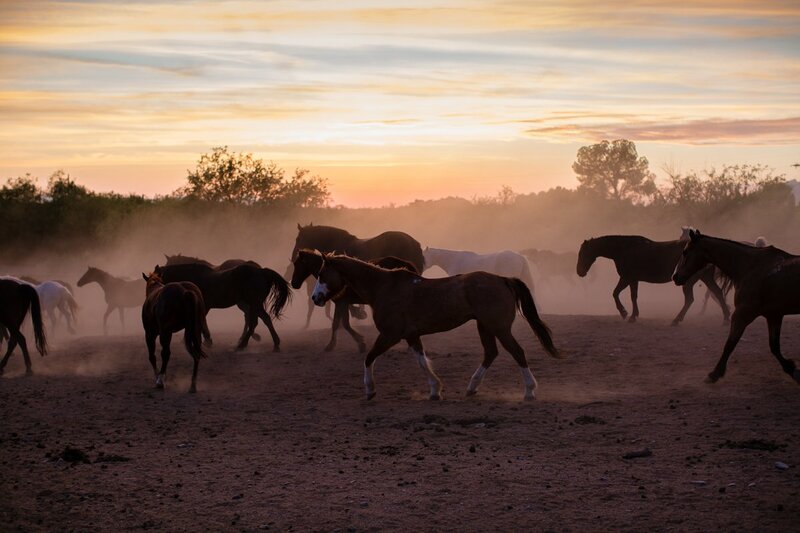 This award-winning dude ranch is located on 60,000 acres of Tucson desert, used for cattle operation as well as ranch accommodations, with the Rincon Mountains surrounding the grounds, right next to Saguaro National Park and Coronado National Forest. 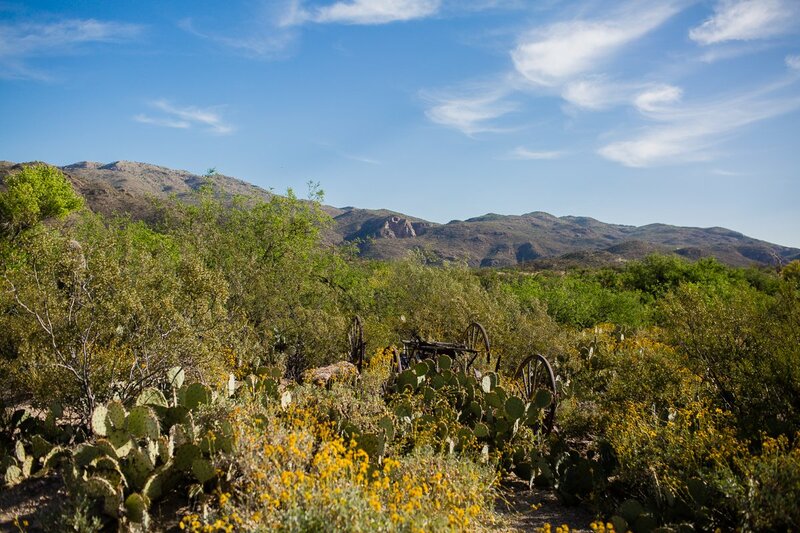 This piece of land, dating back to the 1600s, has a rich history, full of Native American settlements, bandit robberies, cowboy rowdiness, and passing down of the property through family and friends, to where it presently offers its guests a thrilling outdoor experience that takes place right on the dusty desert with the ghosts of long ago steps from cowboys and Indians. 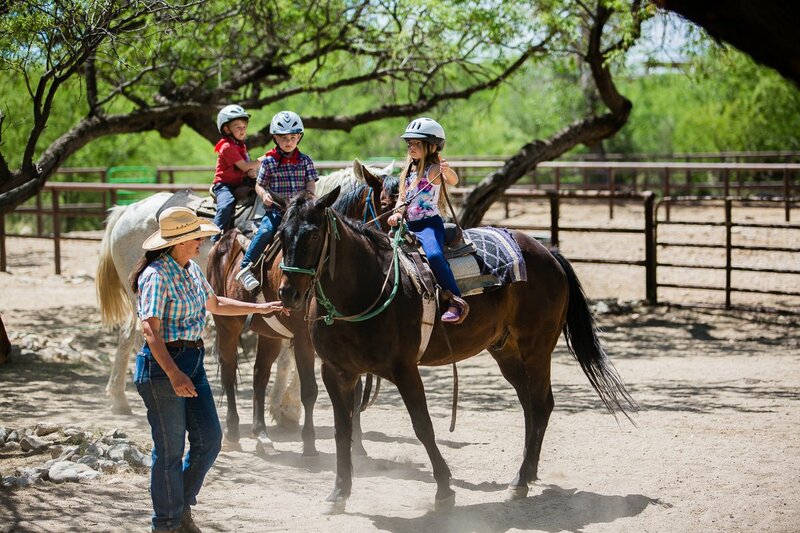 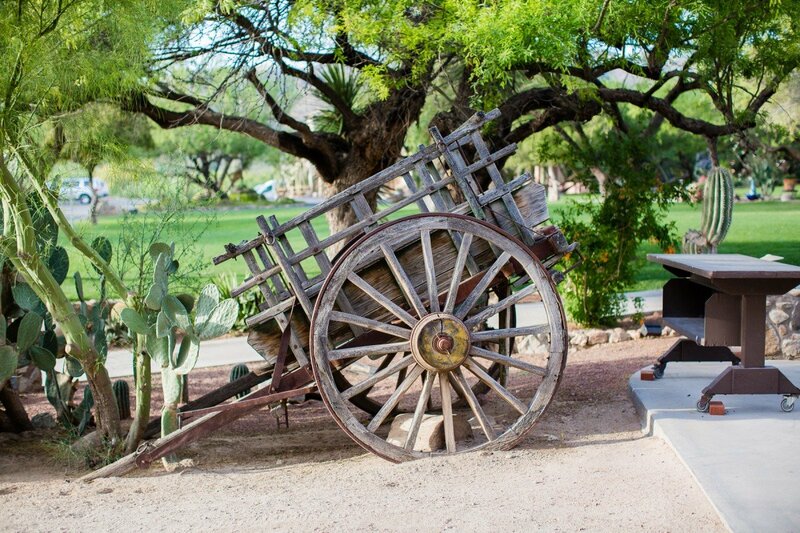 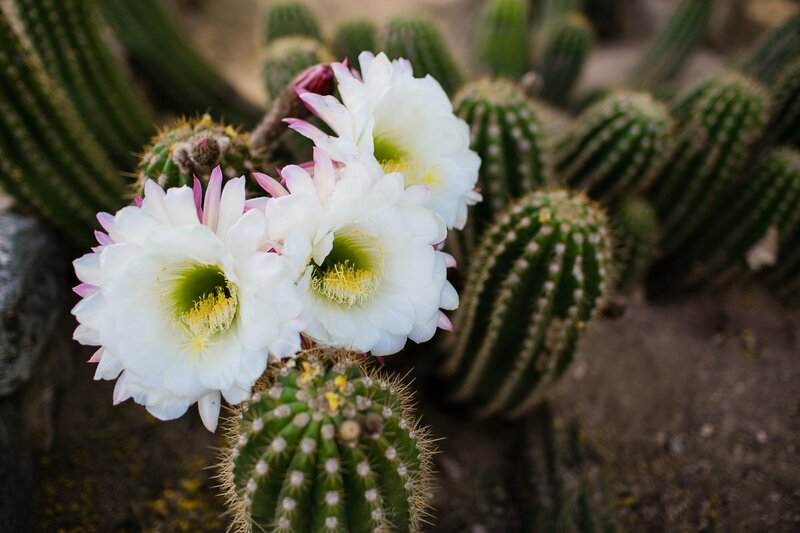 Whether you’re saddling up your steed, playing a round of tennis, cooling off in the waterfall pool, or taking a hike among flowering cacti and rattlesnakes, Tanque Verde Ranch offers enough fulfilling fun, all intertwined with history, to keep the whole family together and sun-kissed all spring break long. 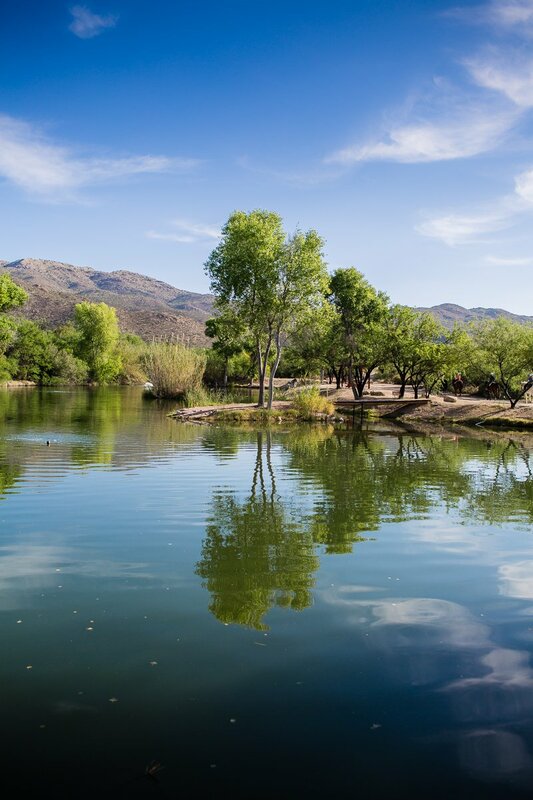 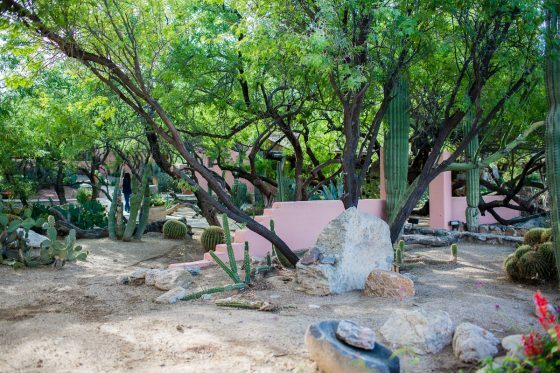 Tanque Verde means “green tank” or “green pool” in Spanish, named for being a location with plentiful water, making it an ideal desert watering hole. 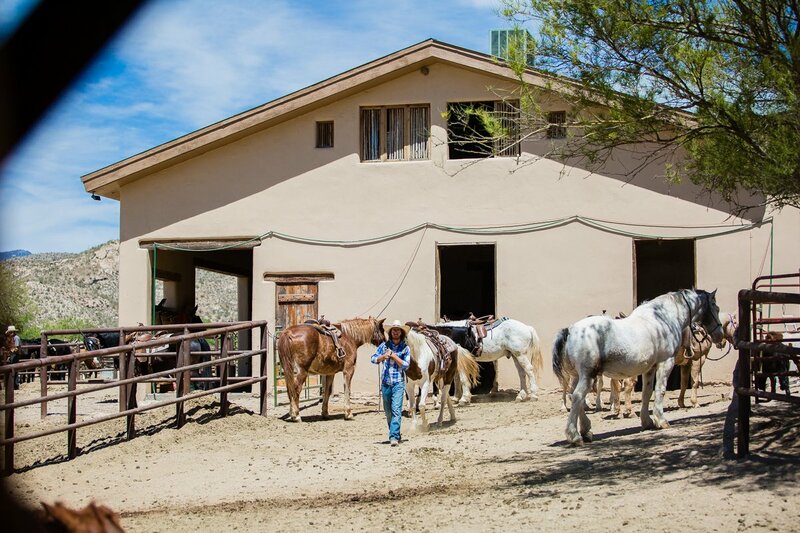 After a long day of horseback riding in the sun and hiking through the rolling desert hills, all one wants is a soft place to cuddle up and sleep the night away, gearing up for the next day of western activities. 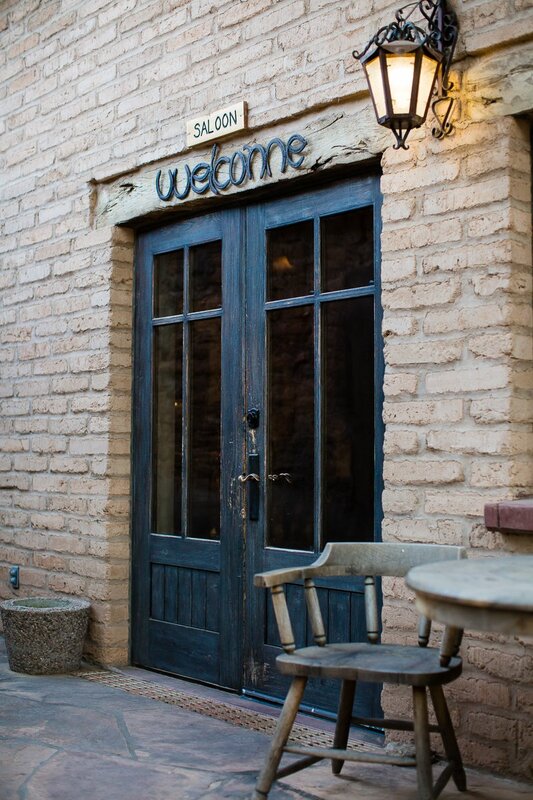 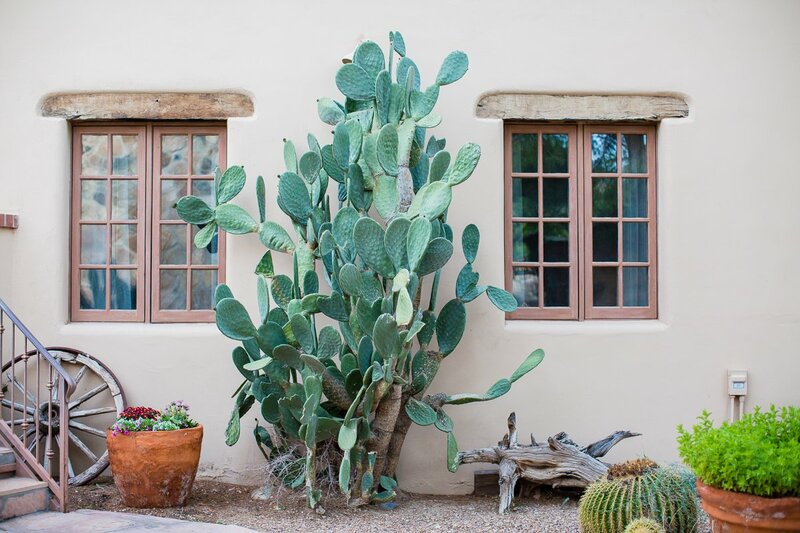 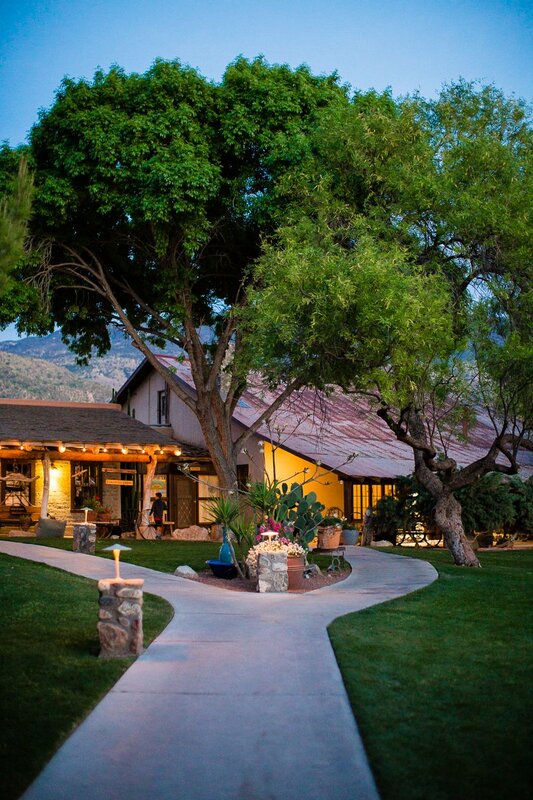 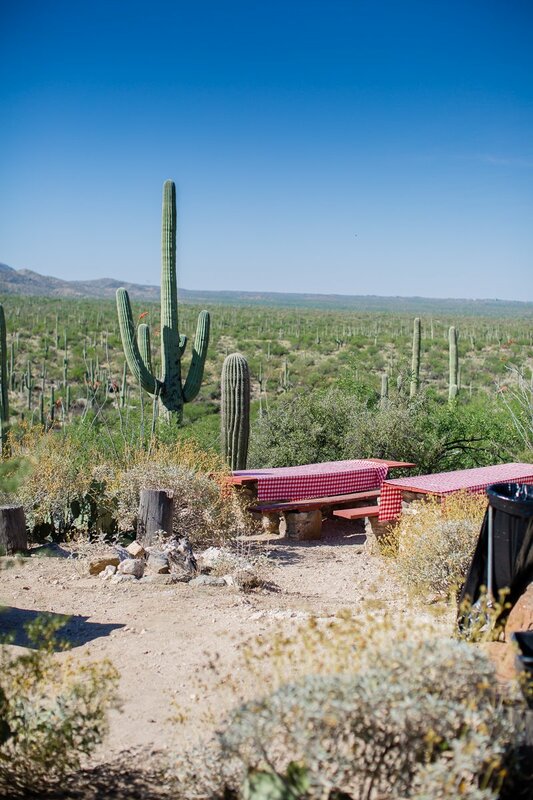 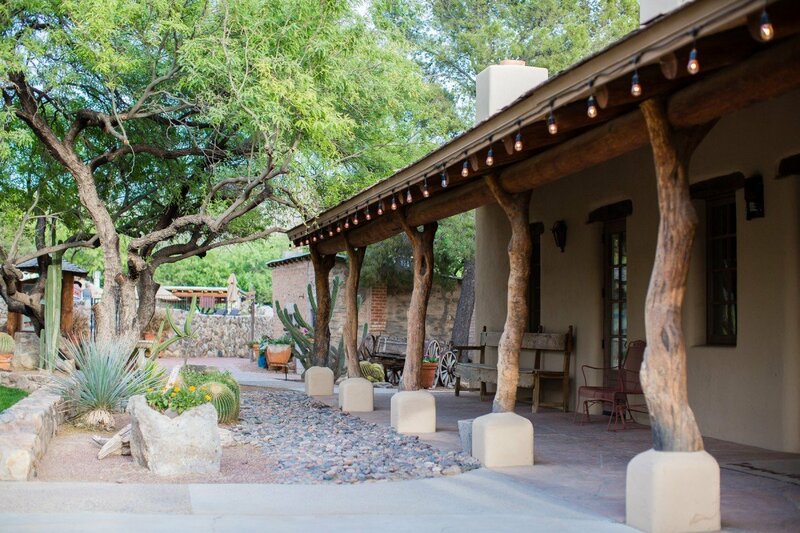 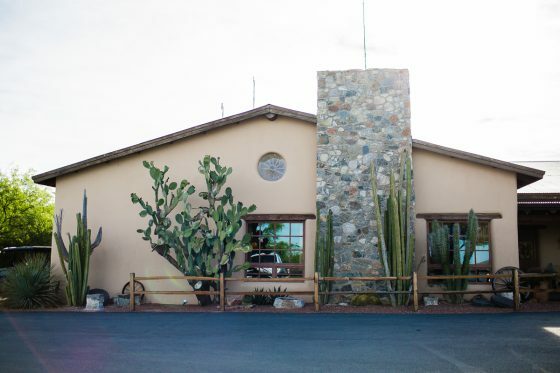 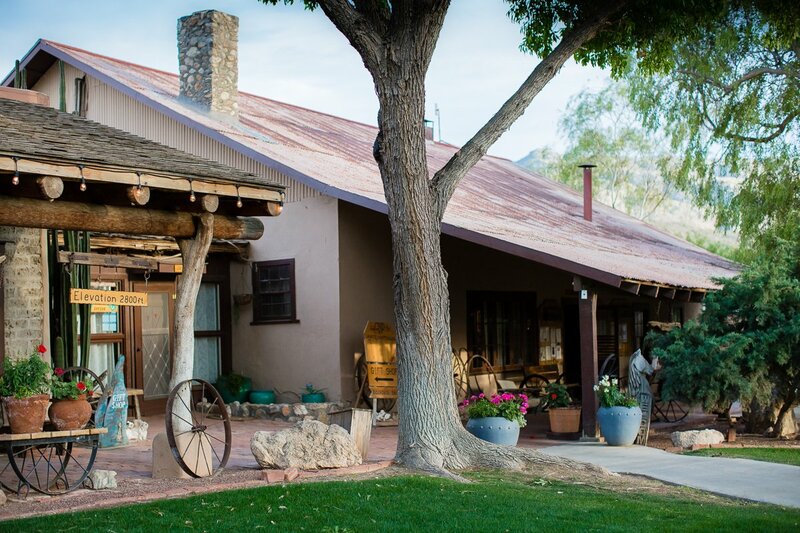 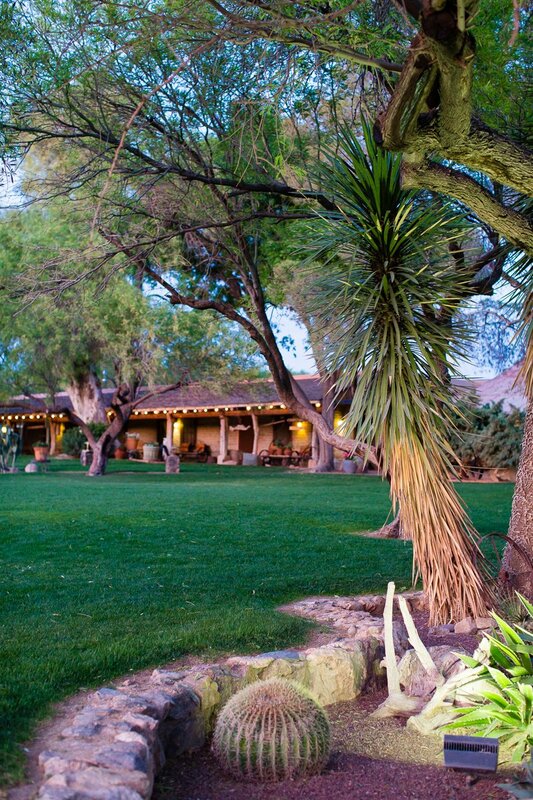 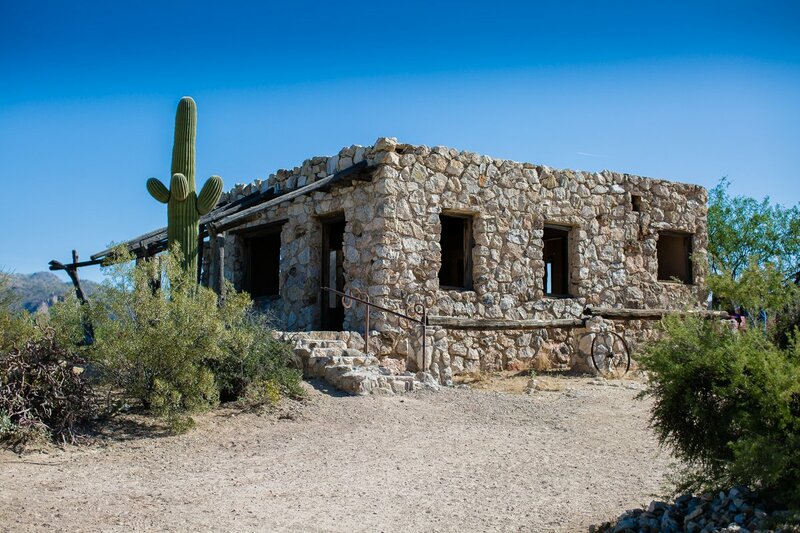 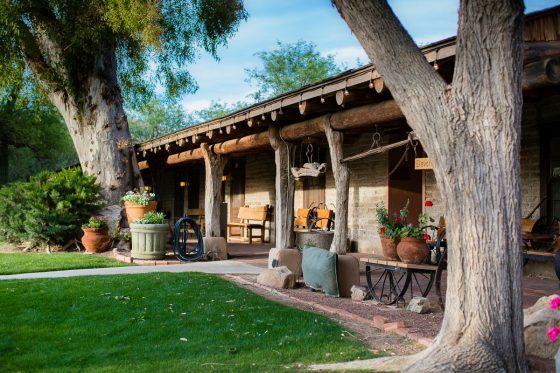 Tanque Verde Ranch offers their guests five different accommodation areas, each with a slightly different feel, yet all featuring breathtaking Arizona views and simple, authentic southwestern decor, with a side of western serenity (which means, no televisions in the rooms!). 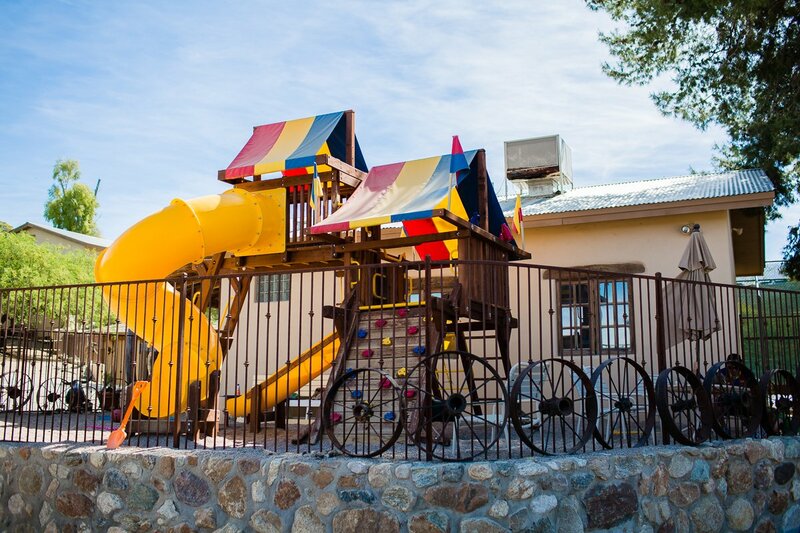 Perfect for families, this lodging area features Casitas, which offer more than just a bed or two; they come complete with a sitting area, sunset-viewing patio, and a fireplace if you choose the right room, giving your family ample space for stretching out and enjoying the mountain views. 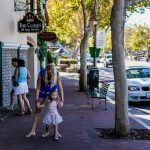 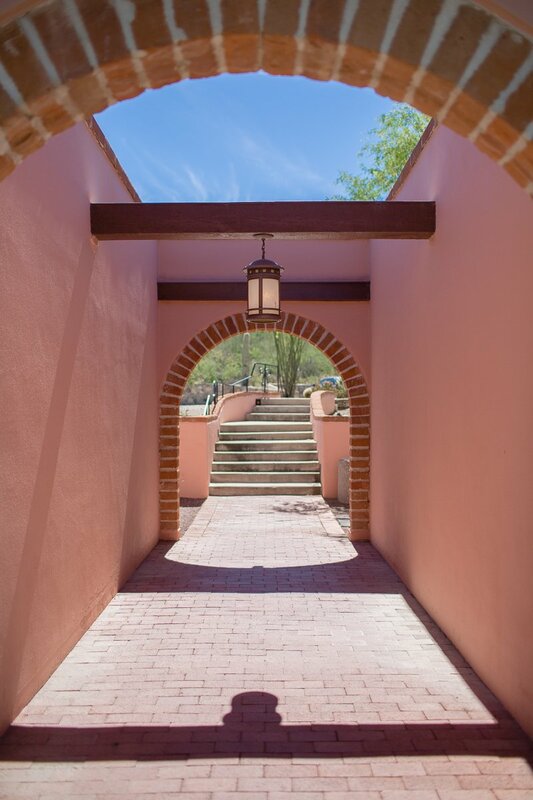 This area features a secluded grassy courtyard, complete with wrought iron tables and chairs, a bubbling fountain, and lush landscaping, all surrounded by rooms, making it also a great place to stay with your family. 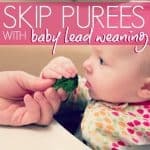 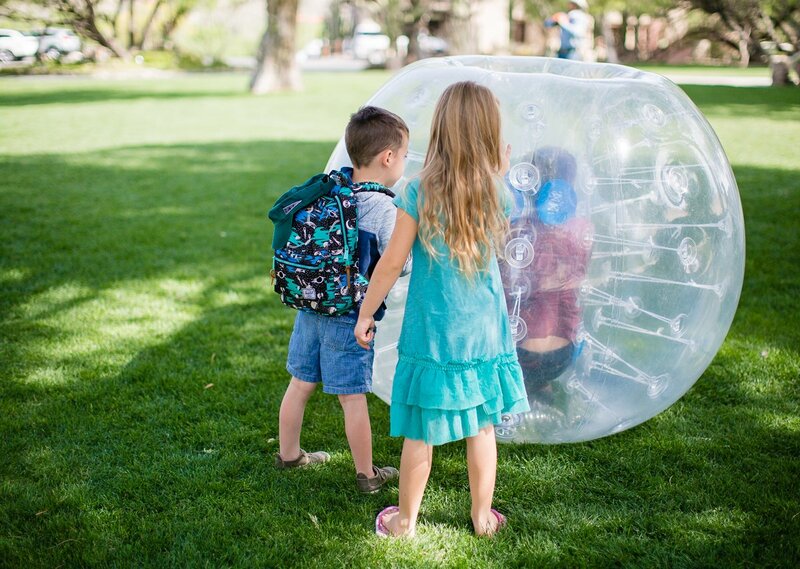 Just open the door and send the kids out to roll around the plush grass for a minute or two to burn off some excess energy, while you take a deep breath of the cool morning air and listen to the trickling water. 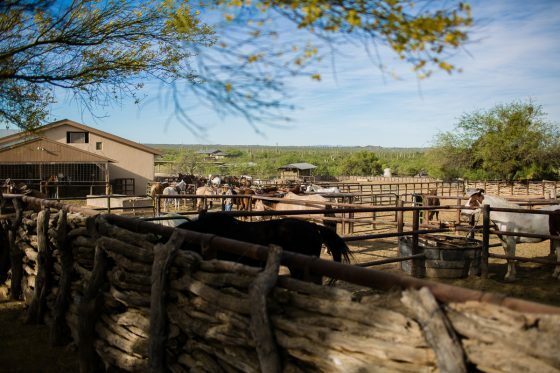 Choose from the larger Casitas rooms or the Salas, a smaller, more stripped down version, but still offering basic accommodations you expect from a hotel. 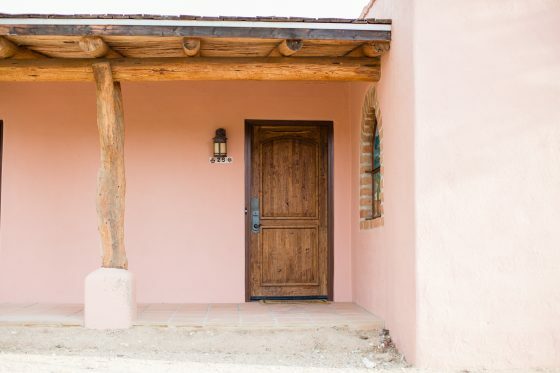 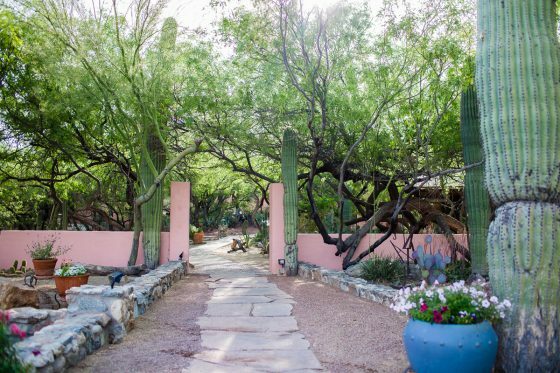 These pink adobe rooms sit up a bit higher on the property, offering stunning sunset views to its guests. 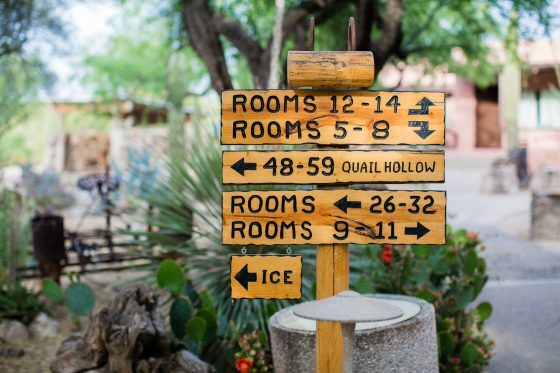 Choose from Casitas or Salas rooms, depending on your needs and wants. 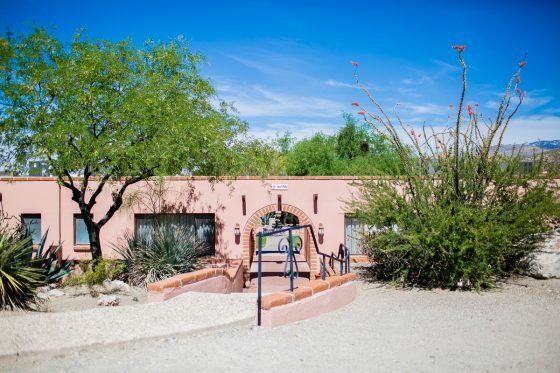 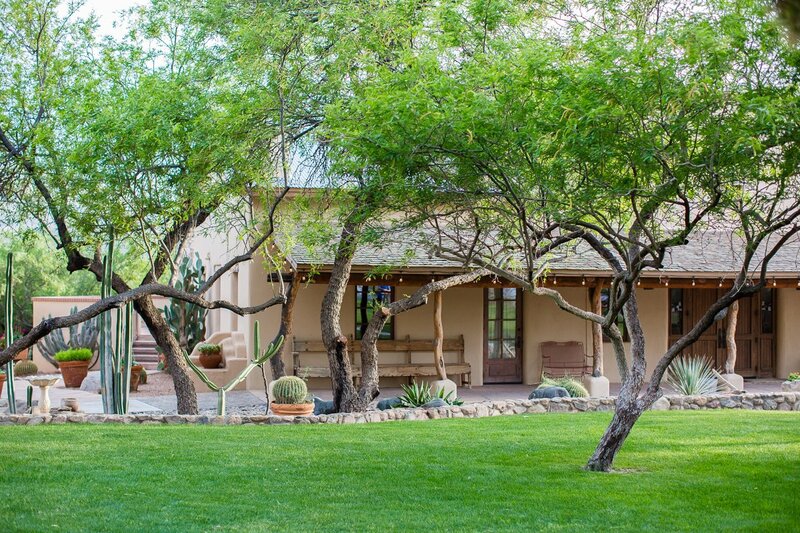 These Casitas and Salas are located closer to the main dining room and ranch areas, nestled among the beautiful desert garden landscapes, with spacious decks and small patches of bright green, cool grass for wiggling your hot toes into. 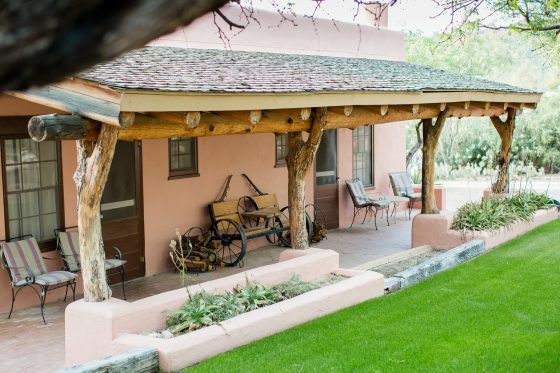 These Haciendas rooms are the largest on the ranch, able to accommodate two to six people, with spacious interior areas for sleeping and dining. 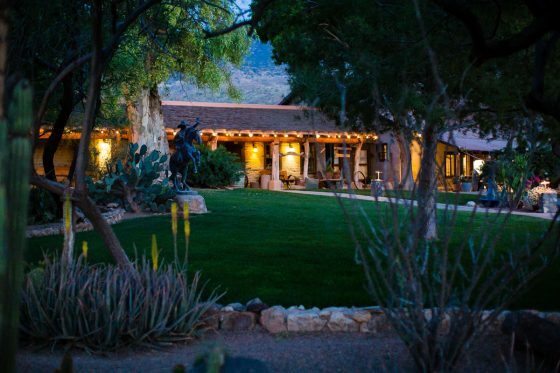 The large bay windows allow you to savor morning sunrises, and the fireplaces – in most of these rooms – help cut through the desert night chill. 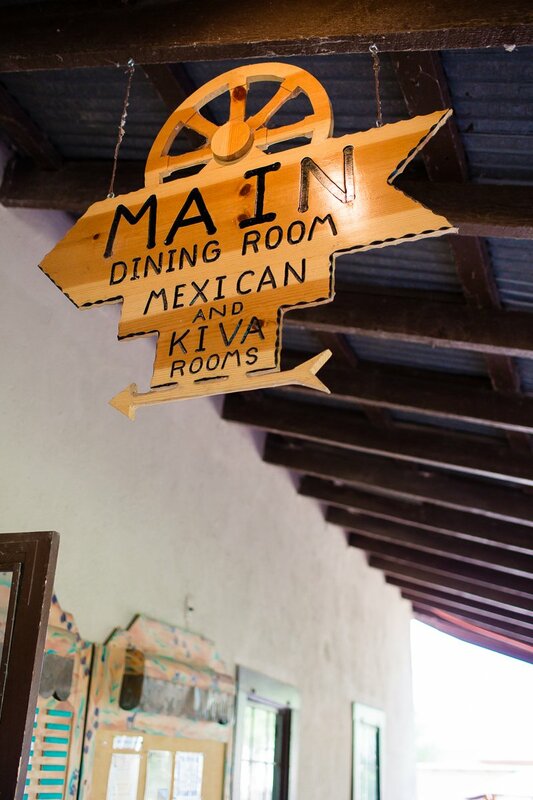 On any getaway, in addition to good views and fun activities, one usually expects an element of tasty food. 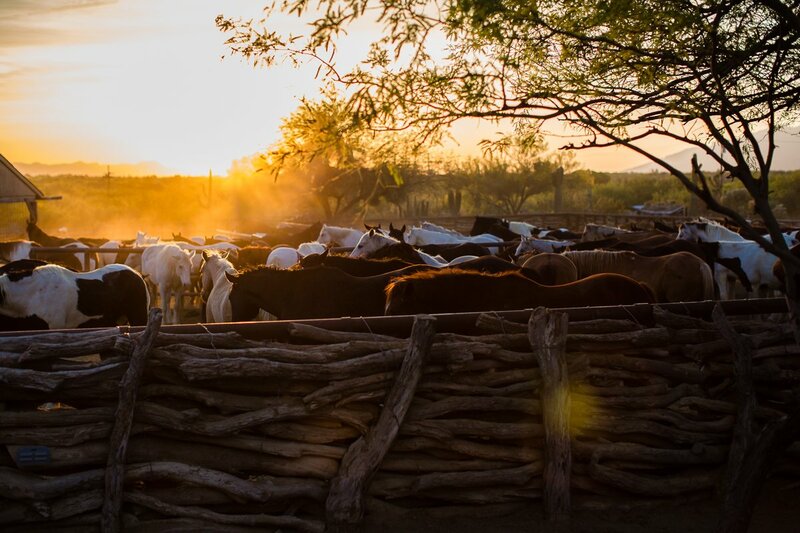 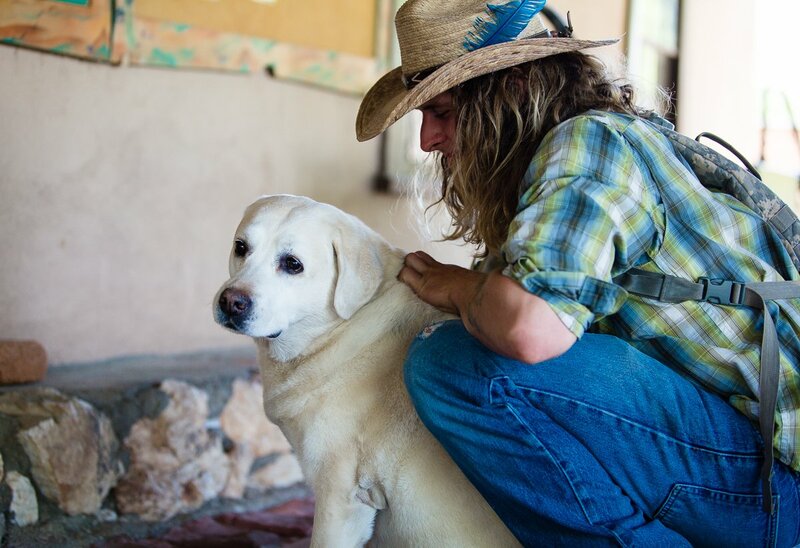 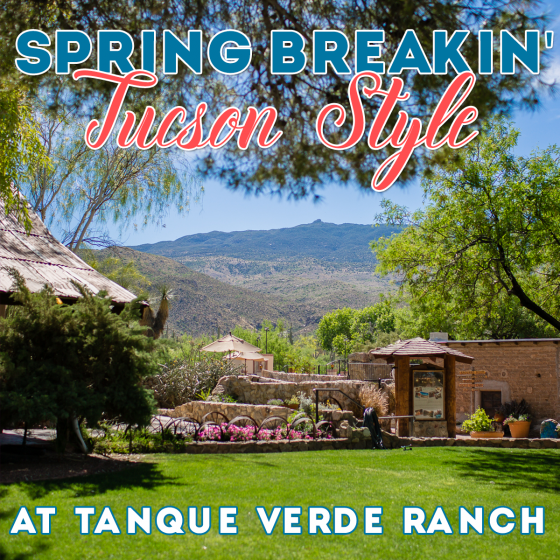 Cowboys do in fact, not only wrangle horses in their sleep, but can whip up a meal like a 5-star chef, and Tanque Verde Ranch is here to prove that to you! 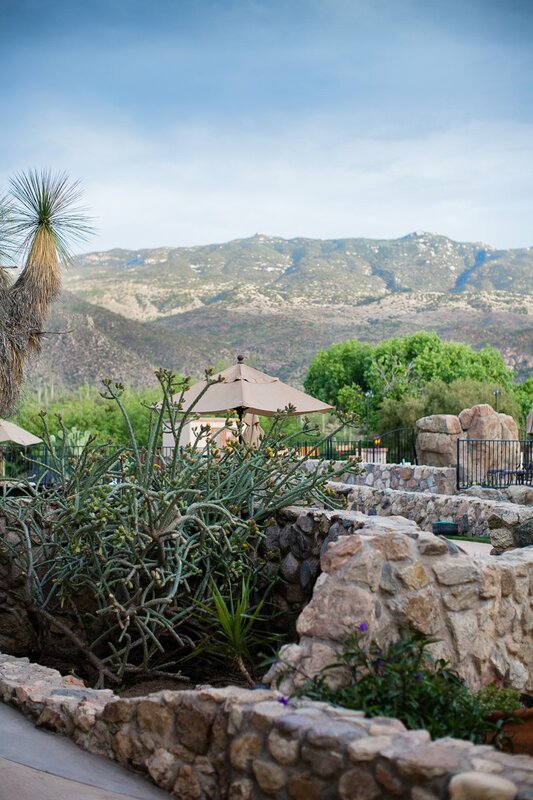 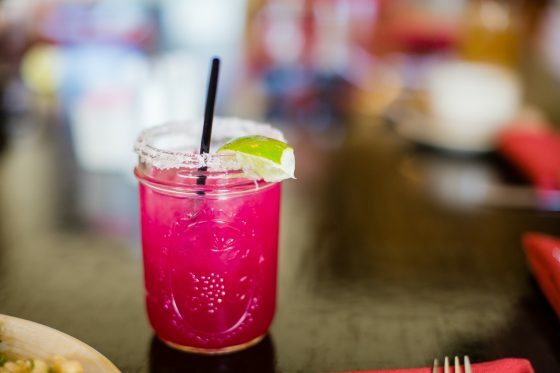 Offering all-inclusive packages which include all meals and snacks, you can dine to your hearts content on some of the most delicious, healthy, and simple southwestern cuisine this side of Arizona. 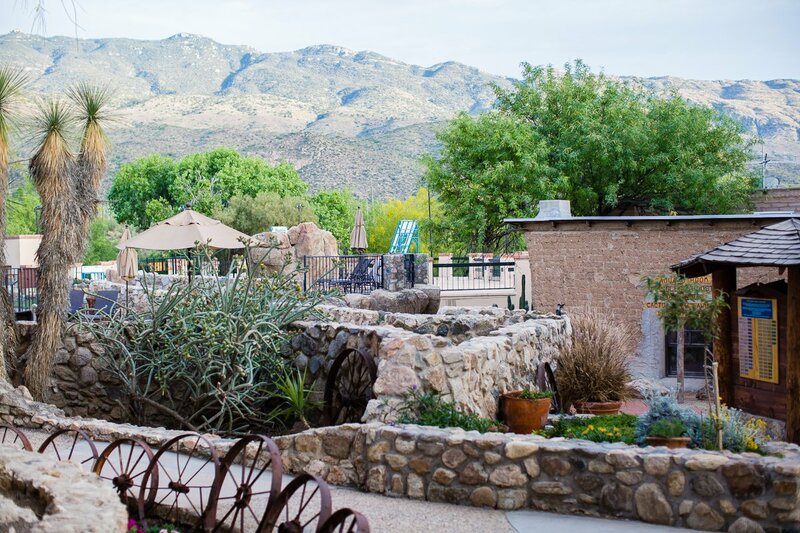 Master Chef Justin Macy, and his talented team create three upscale meals a day, all served in the Main Dining Room, mostly buffet-style, with several special dining events held each week. 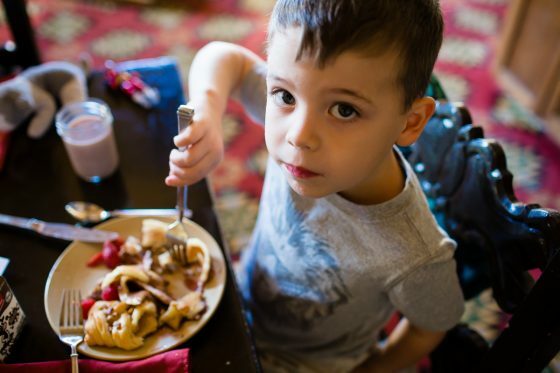 Breakfast is of course the most important meal of the day, so be sure to load up your plates to overflowing with ranch eggs, french toast with boysenberry syrup, fresh raspberries and fruit galore, perfectly cooked bacon, and a wide variety of satisfying juices. 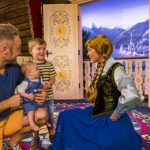 Every morning’s offerings are different, so food boredom is nonexistent, which is music to the ears of toddlers and parents alike! 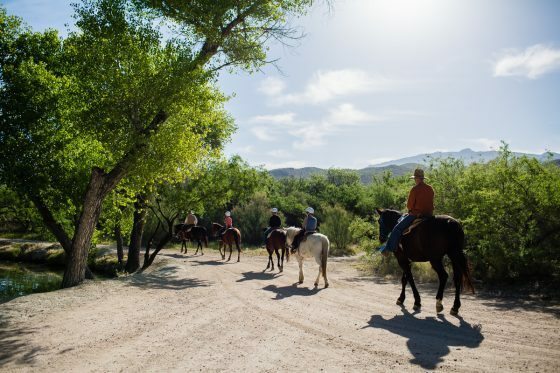 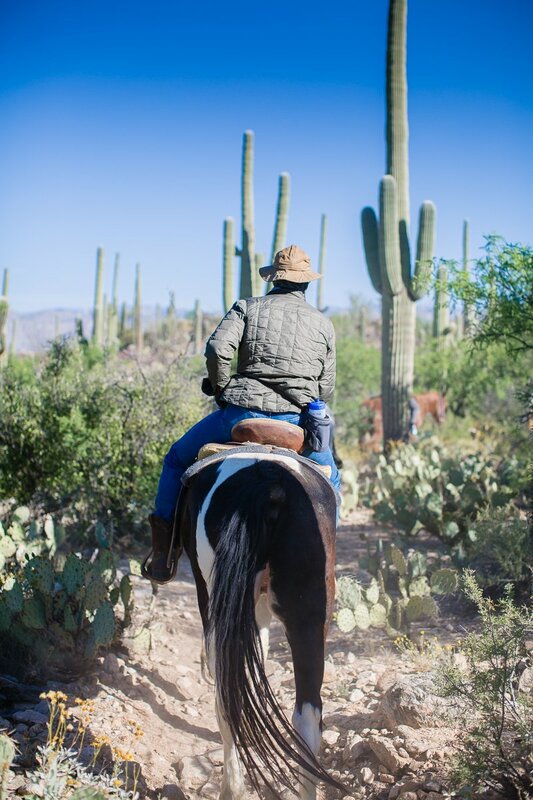 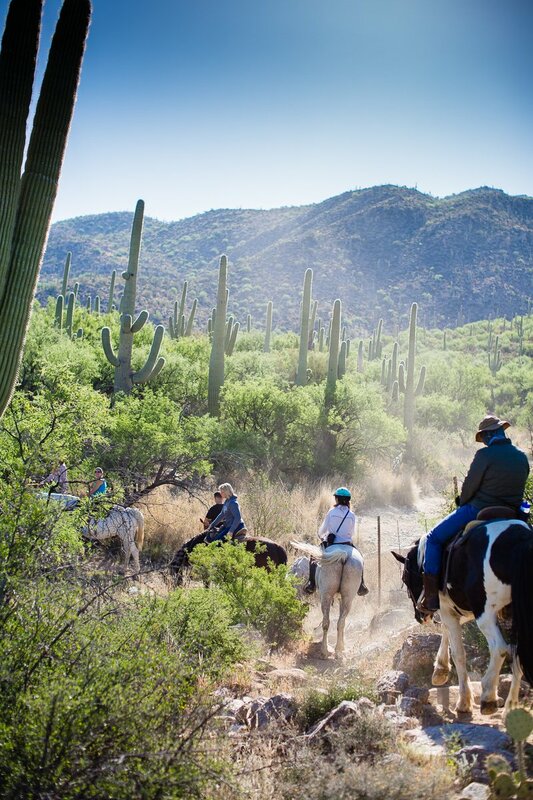 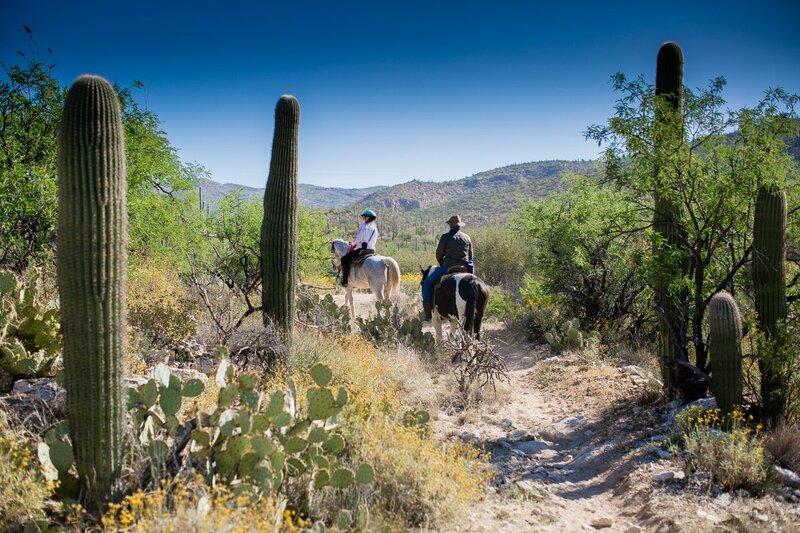 Take your breakfast on the road with Tanque Verde’s Breakfast Ride, a thrilling experience full of horses, desert landscapes, and world-famous blueberry pancakes. 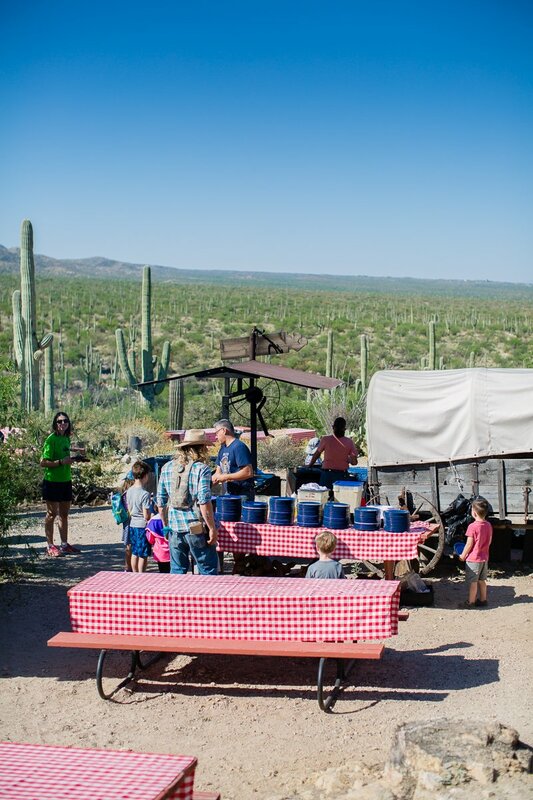 Soak in the mountaintop view while you dine at picnic tables among your fellow ranch guests, making for one breakfast that you will never forget. 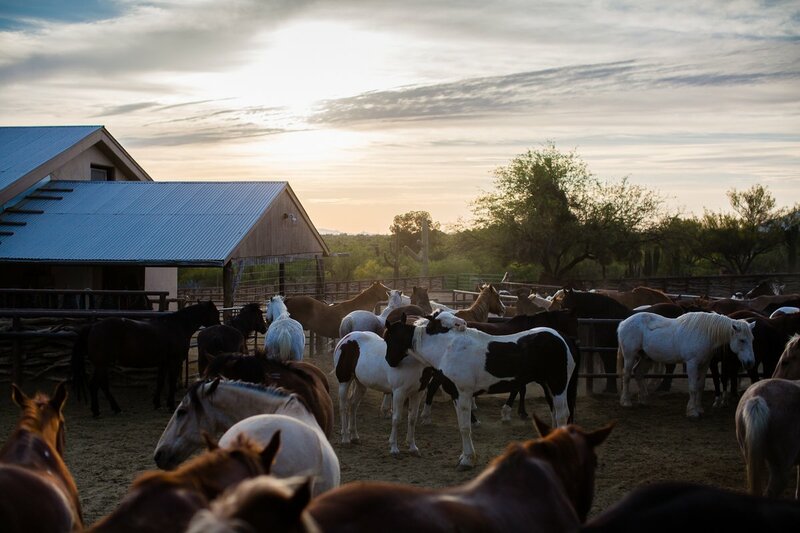 Lunch and dinner are just as spectacular as breakfast, with rotating menu options, suitable for both vegetarians and beef lovin’ cowboys. 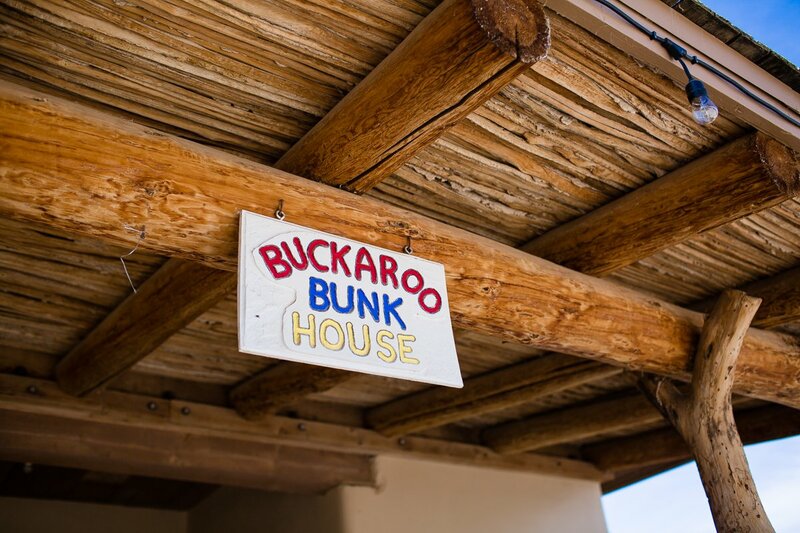 Go through the buffet line or order from the menu, and be treated to top-notch food and desserts that you won’t believe came from a dusty dude ranch kitchen. 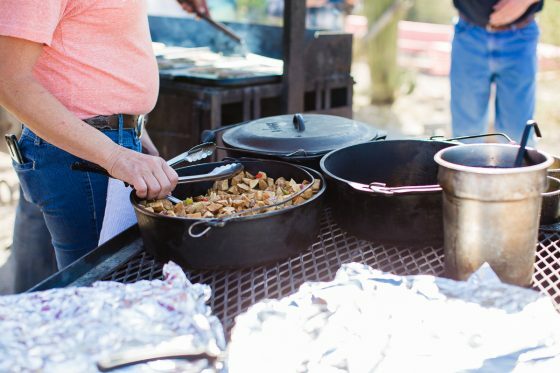 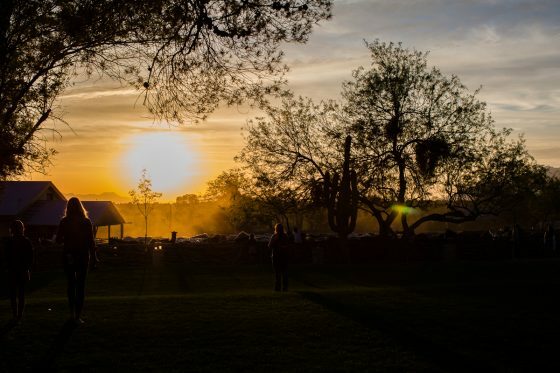 A couple nights a week, you can be privileged to experience an authentic western BBQ at Cottonwood Grove, a short walk from the main ranch grounds, complete with twinkling overhead lights strung through trees, a dance floor for line dancing, and tables covered with classic cookout food. 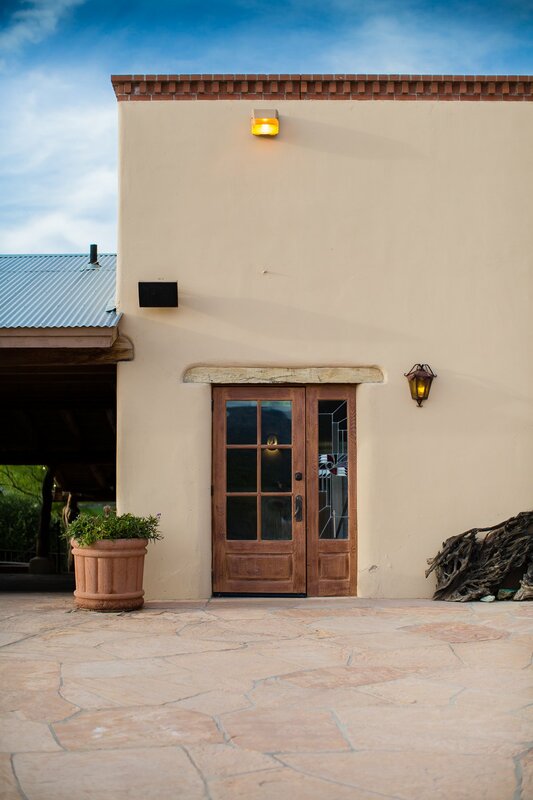 This is where ranch guests gather and eat together as a family, savoring newly made friendships and the crisp night air among laughter and dancing. 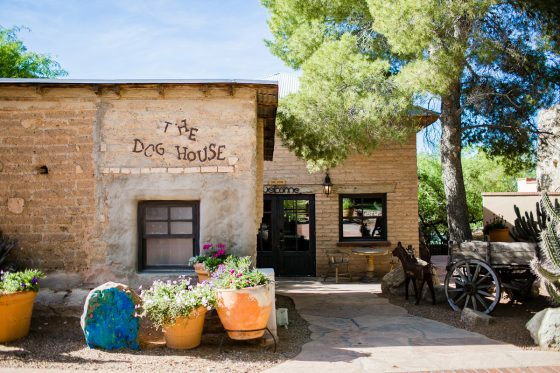 The Doghouse Saloon is located right next to the pool, and it’s your classic western watering hole, where you can take a break with a craft beer or cocktail while grabbing a quick peek at whatever current sports to-do is on the tube. 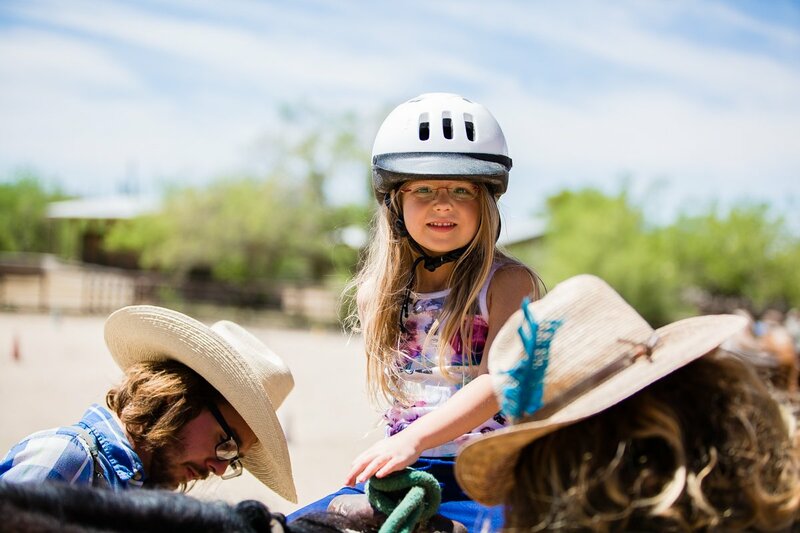 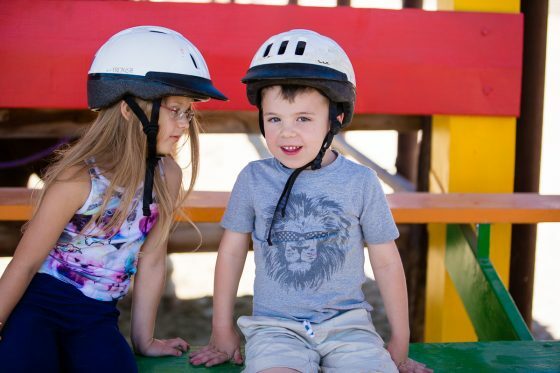 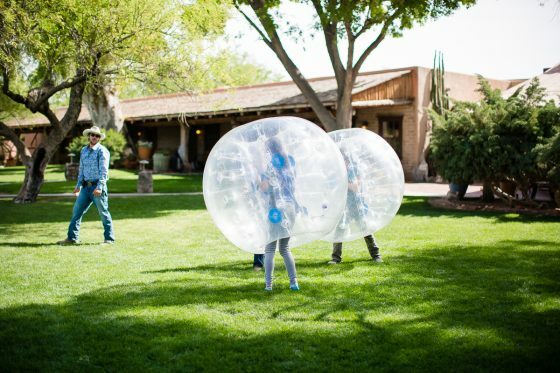 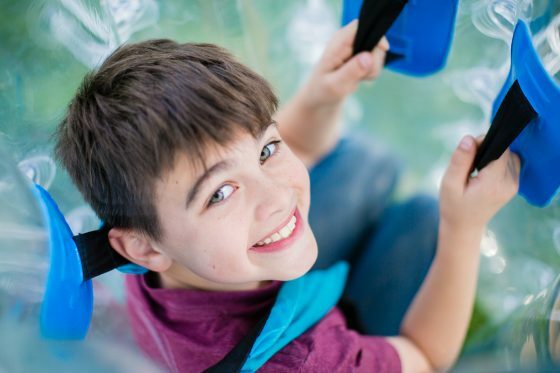 What makes Tanque Verde Ranch such a hit, besides the to-die for food, is the plethora of activities that are offered, for every member of the family. 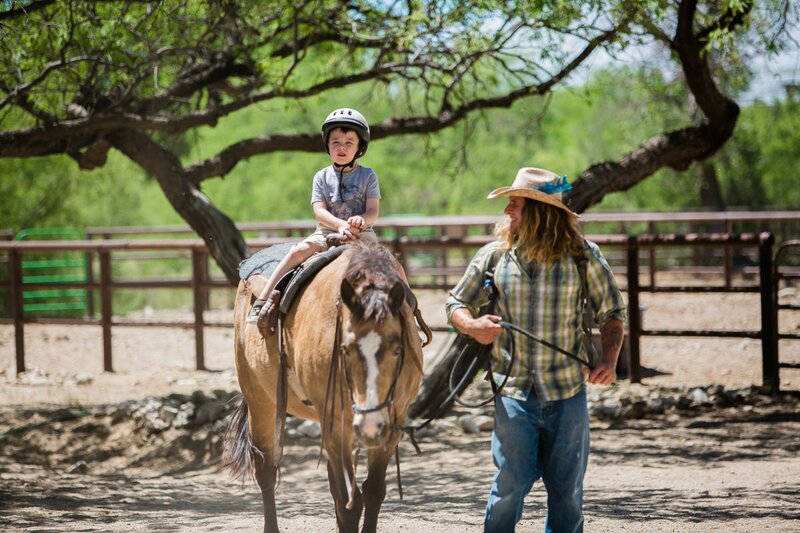 There are so many things to do at the best dude ranch in Arizona that we couldn’t possibly cover them all! 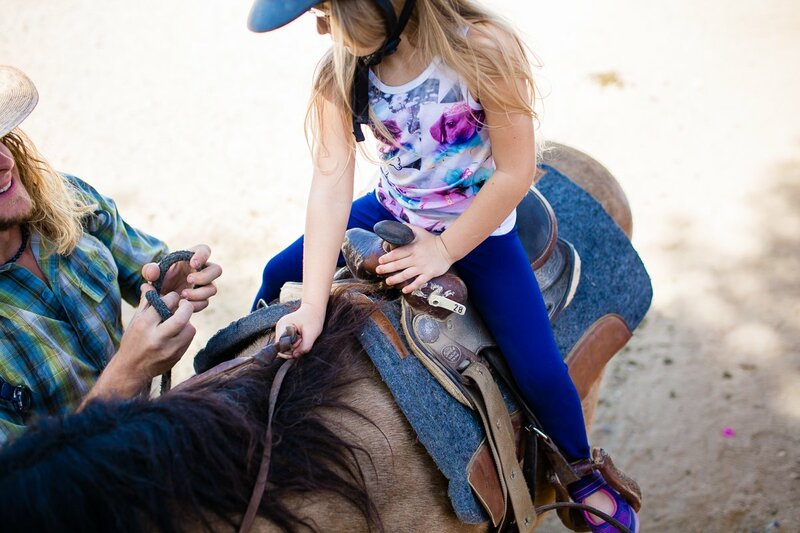 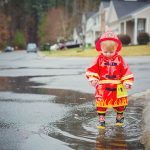 We’ll focus on the kids first, because there really isn’t a spring break unless you have kiddos – one other positive perk about adding a small creature or two to your home. 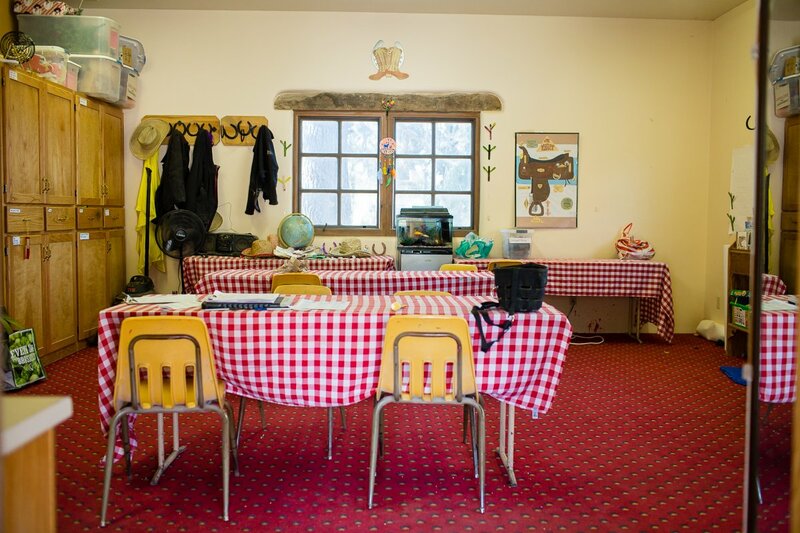 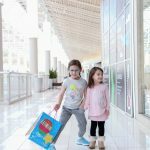 The Kid’s Club is amazing for your kids ages 4-12. 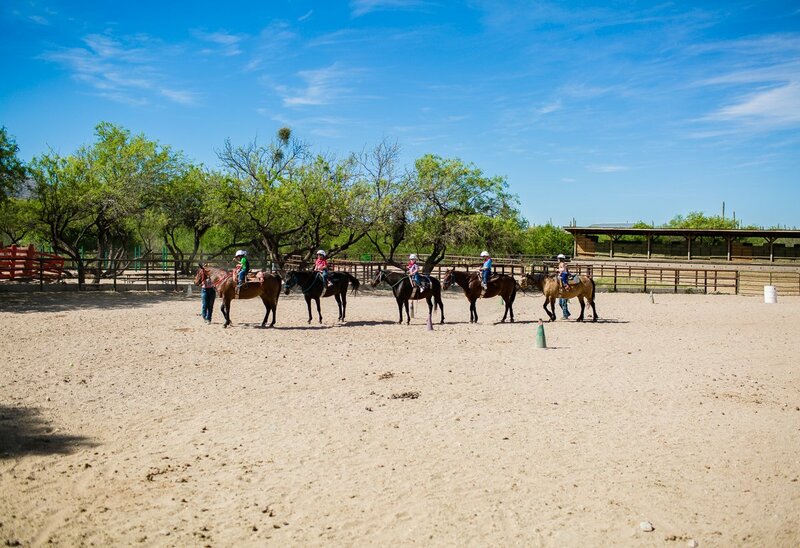 Supervised by attentive “wranglers”, they will experience most everything you as adults will be doing, plus some other activities that you’re sure to be jealous of. 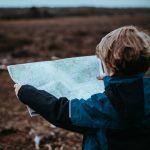 Drop them off anytime throughout the day, and take a look at the day’s schedule to see where and when your kids will be at any given time. 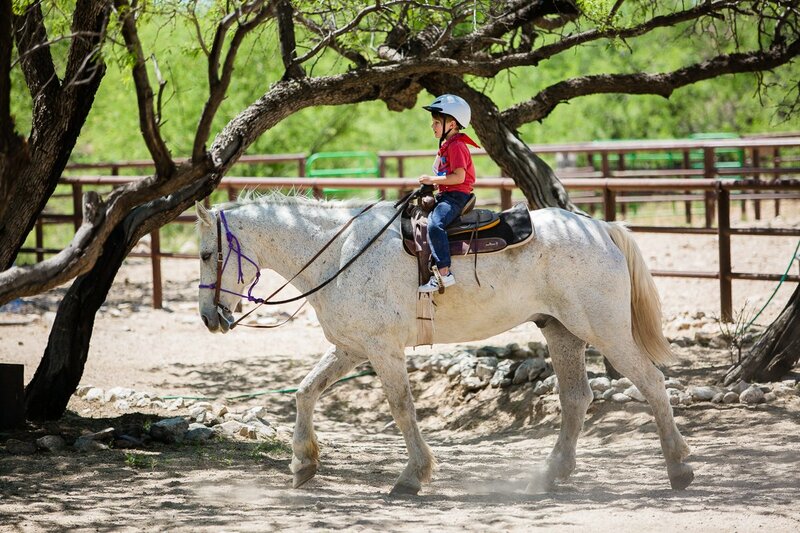 Broken into three different age groups, your kids will ride horses (a lot! 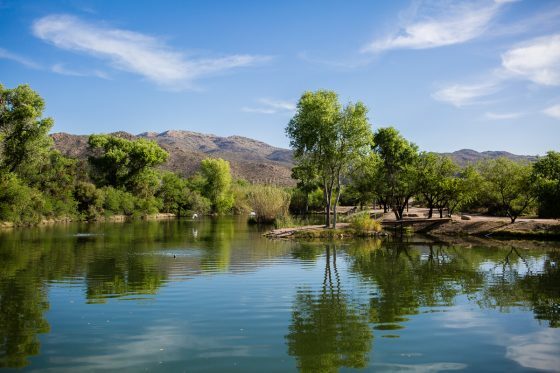 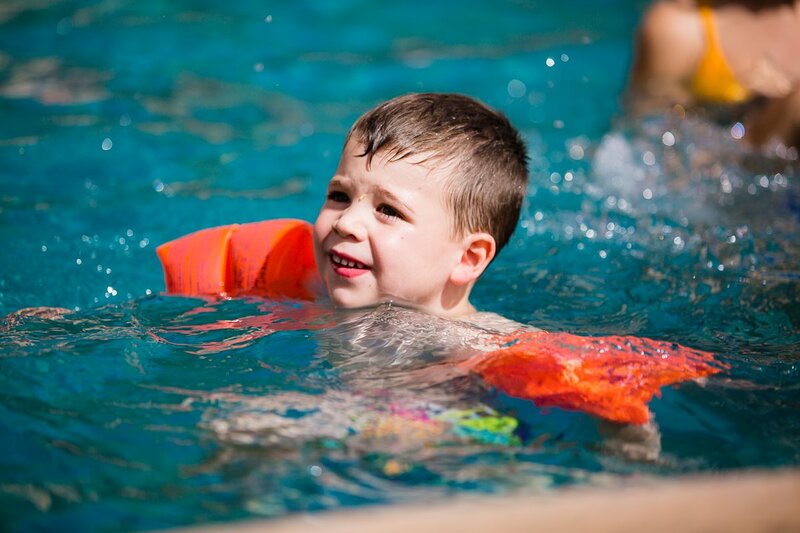 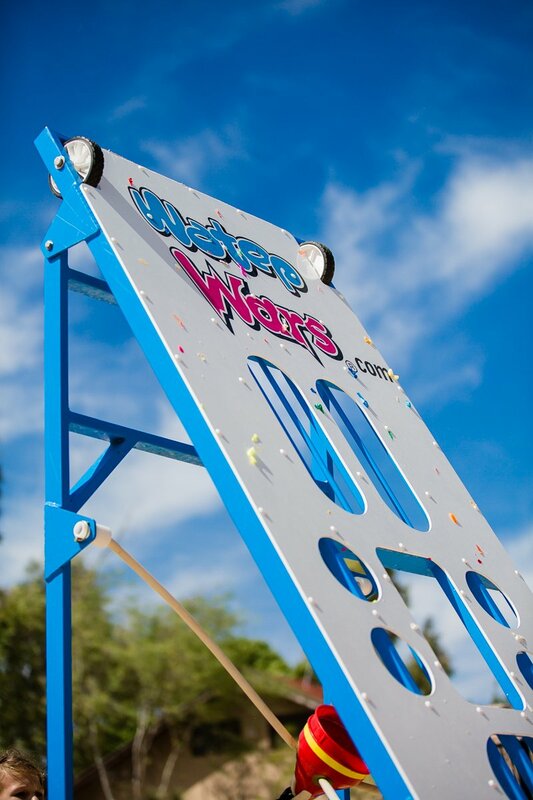 ), go swimming, hike on nature walks, learn about desert wildlife and vegetation, play tennis, do arts and crafts, explore the playground, and tons more. 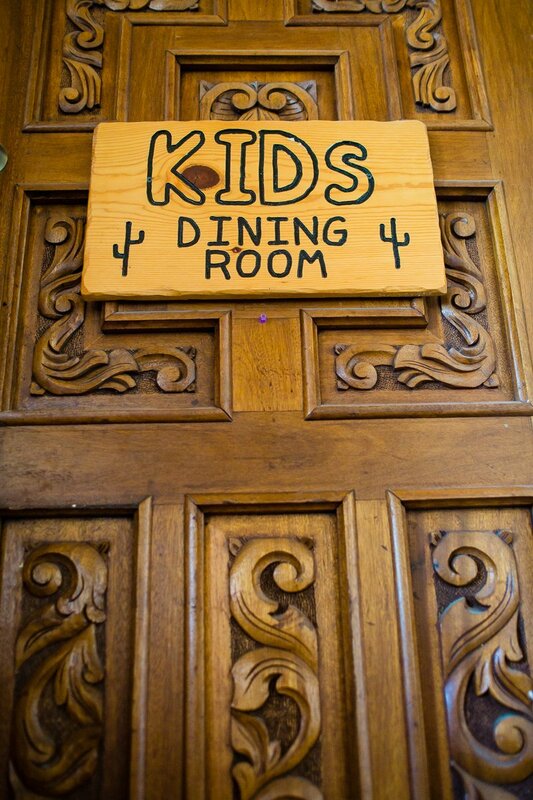 They will be taken to meals and eat in their own private Kid’s Dining Room, and by the end of the day, be returned to you with a full mind, happy heart, and tired eyes. 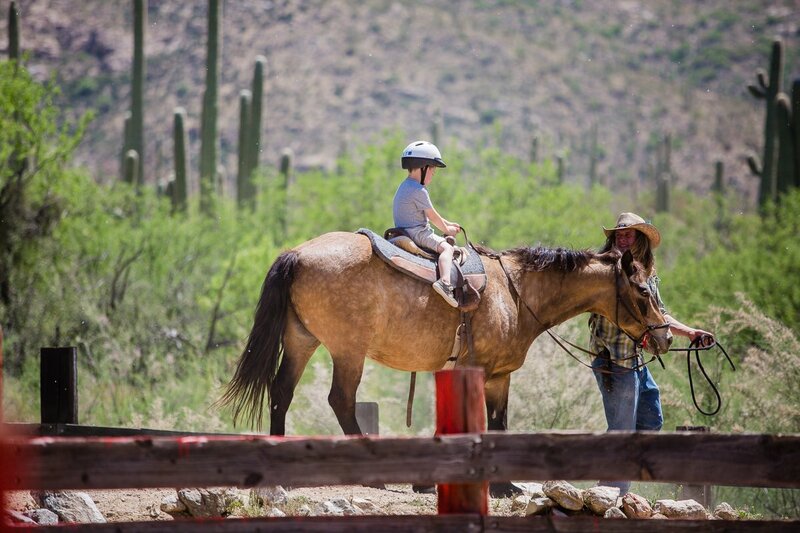 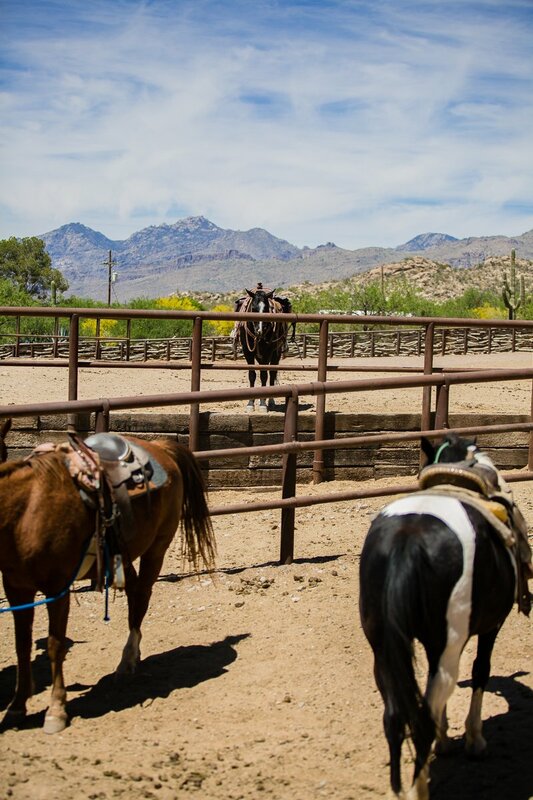 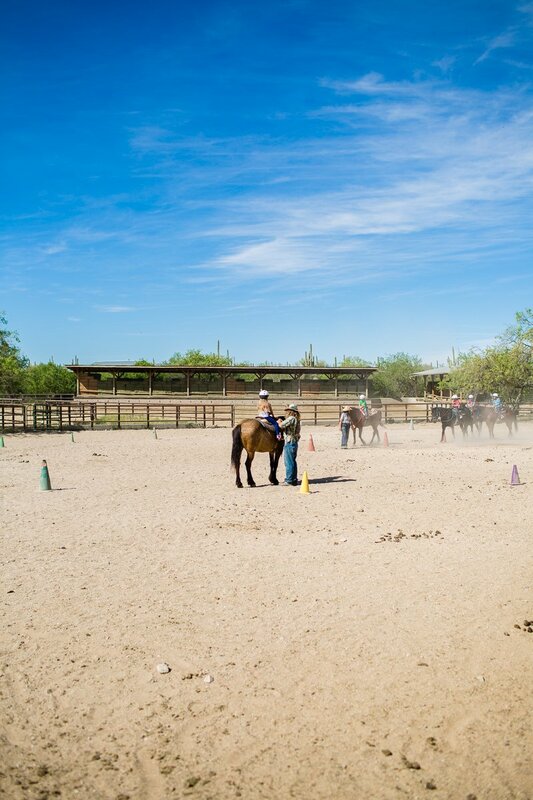 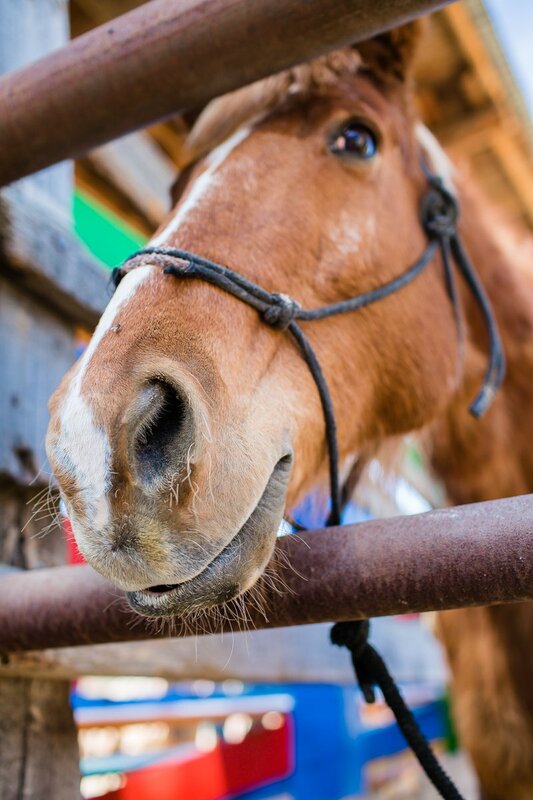 Here’s the lowdown on some of the activities offered at Tanque Verde Ranch. 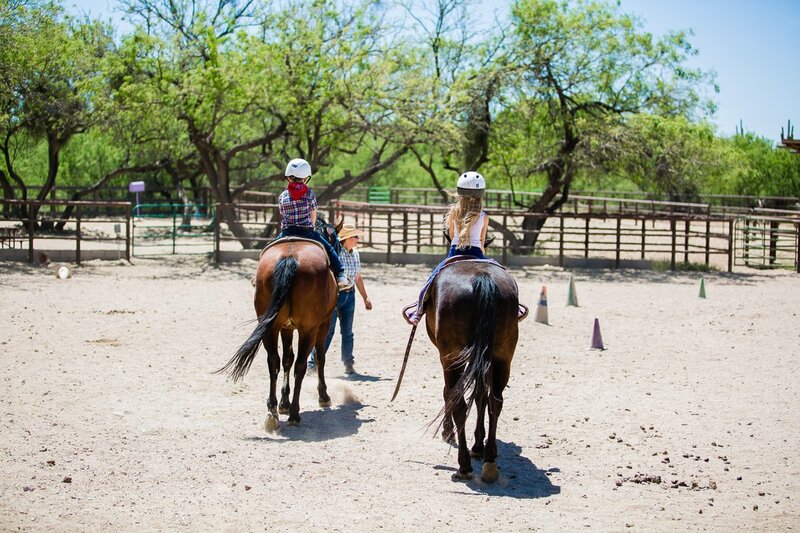 But be sure to check out the Activities page so you can thoroughly see just what all you’re able to do during one spring break! 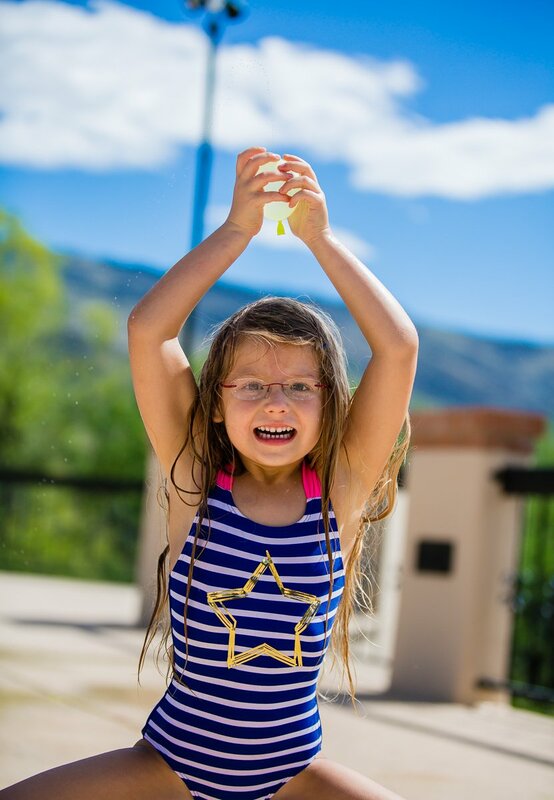 Parents, while the kids are having water balloon fights and enjoying dinner and a movie at The Kid’s Club, swing by La Sonora Spa for a spring break treat. 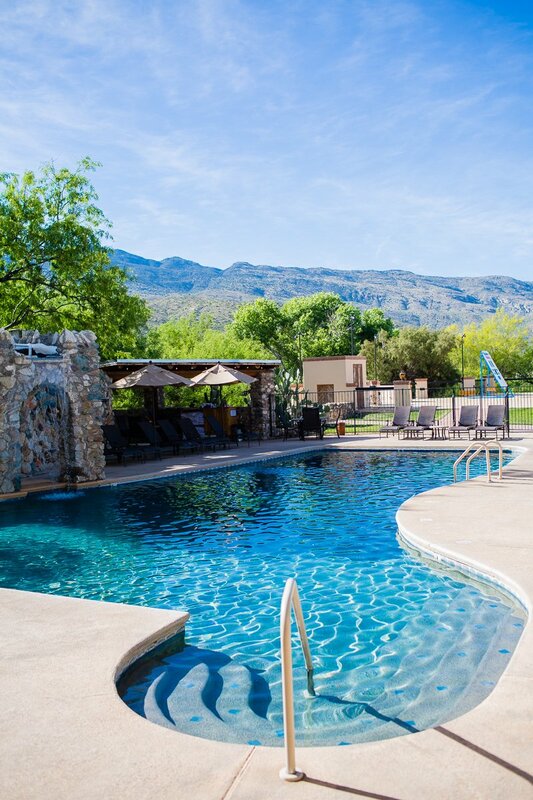 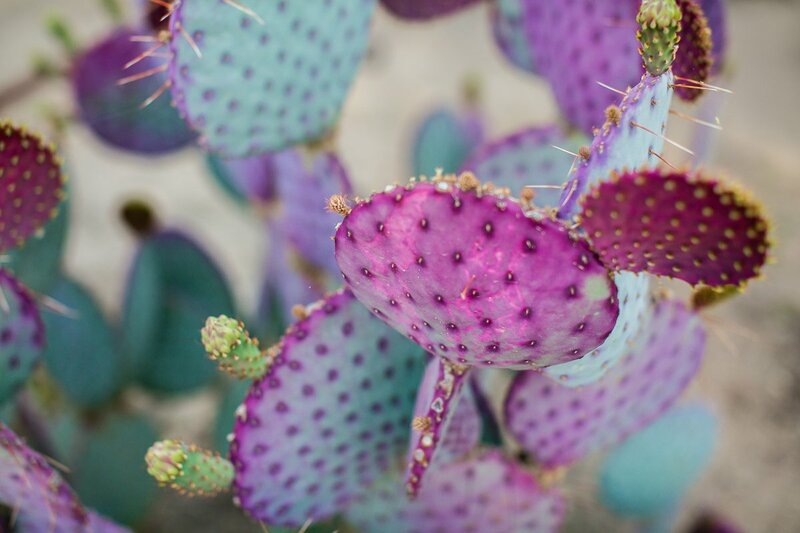 Enjoy a massage or a skin treatment, soak in the indoor pool and whirlpool while savoring the Arizona landscapes with your content eyes, and pat yourself on the back for making this spring break epic. 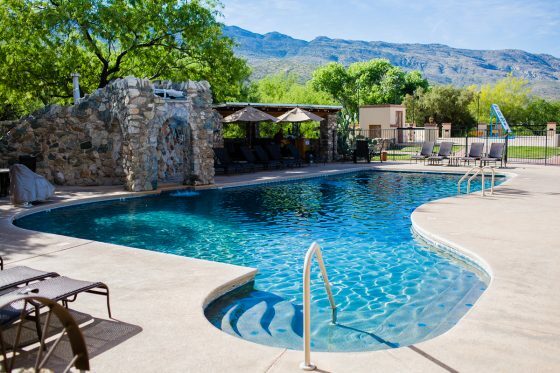 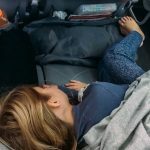 While you could easily fill your days to the brim with activities, be sure to carve out a few hours for simply doing nothing – well maybe lounging poolside or meditating on a blanket on the huge grassy lawn. 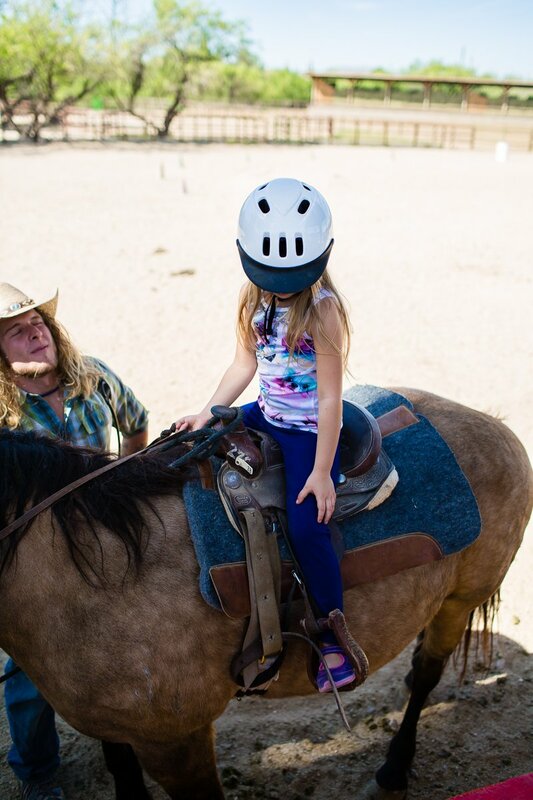 Enjoy your family time together by actually being together, not separated the whole time. 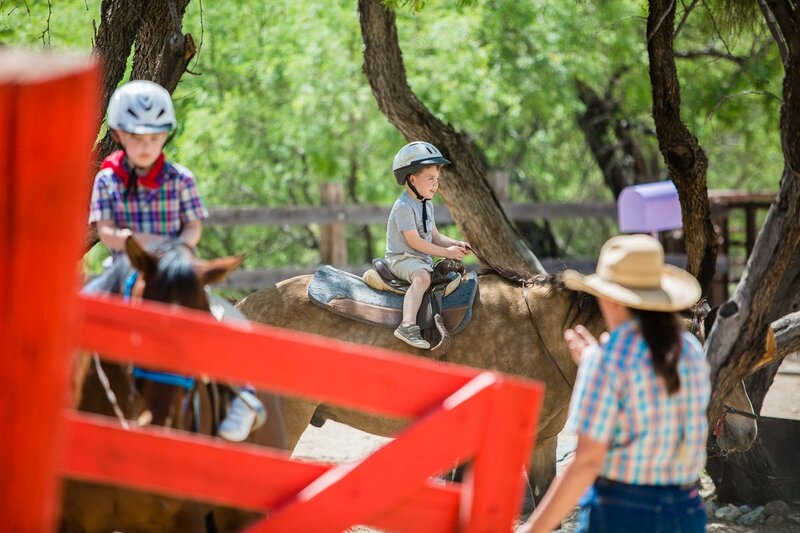 Have cannonball contests, play baseball on the lawn while the horses look on, or take a family hike and see who can find the most scorpions. 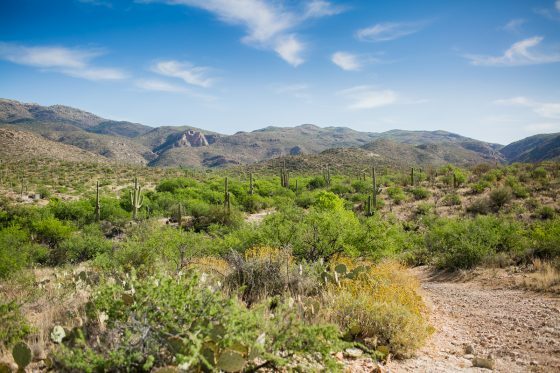 There are so many hidden gems tucked into our country worth exploring, and that’s why we’re always so excited to introduce you to them. 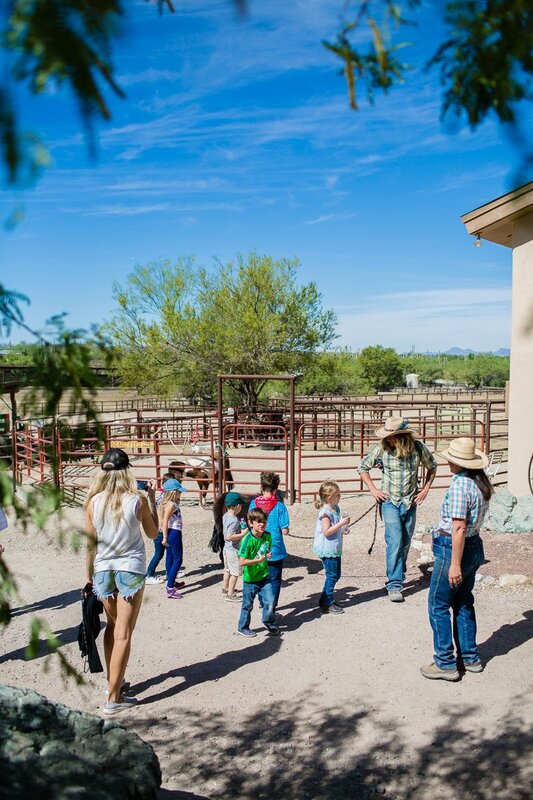 Arizona is one of those states that must make it on your family’s bucket list, not only for the views and activities, but also for the educational experiences and history filled areas. 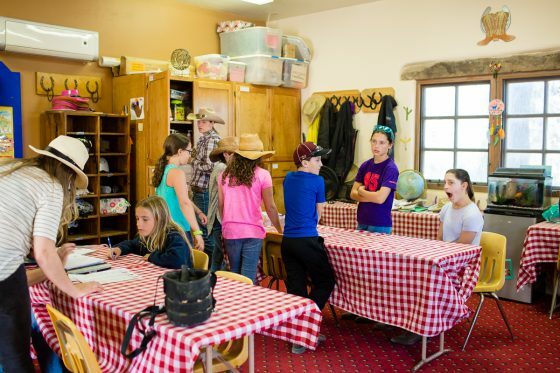 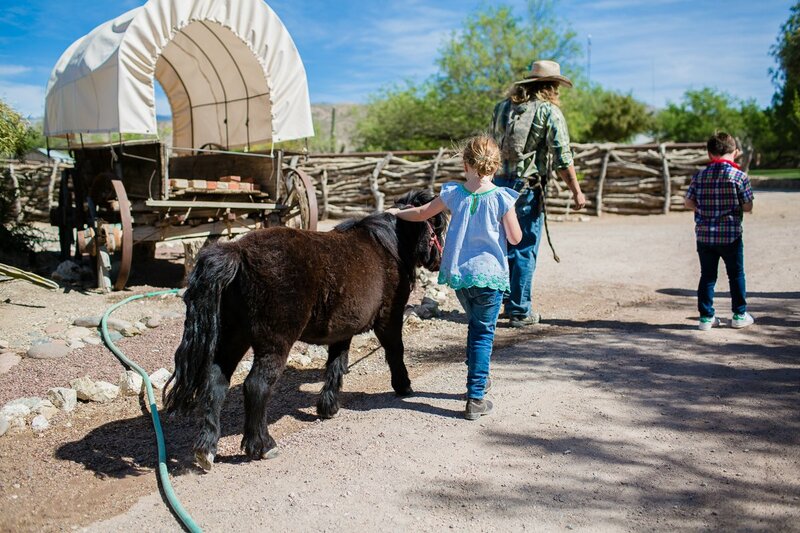 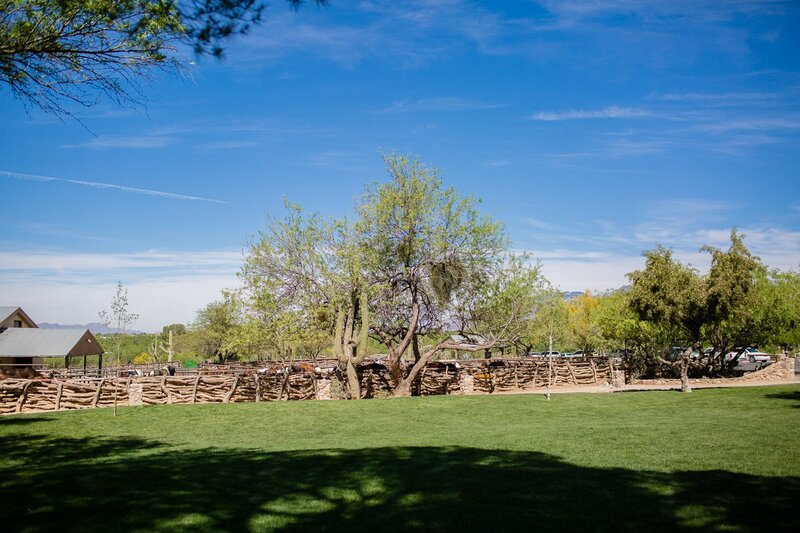 Tanque Verde Ranch is a spring break destination perfect for every family, so round up your cowboys and cowgals and get to making some western plans! 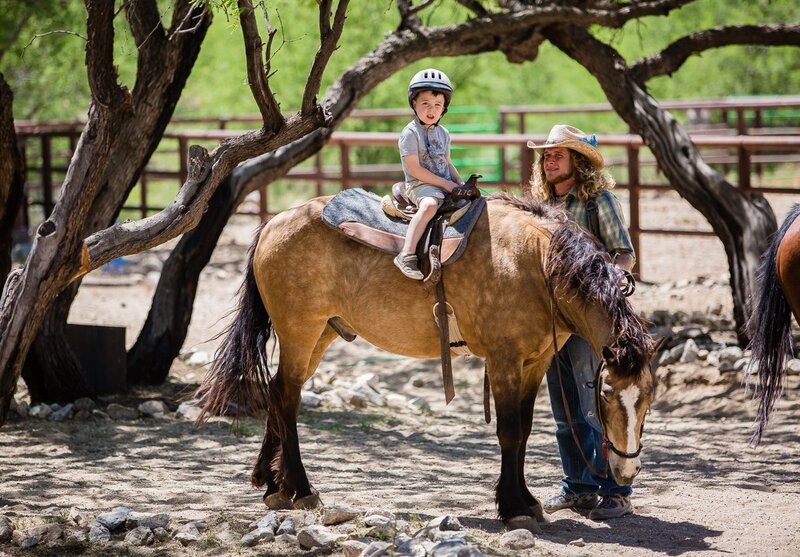 If you want an up close and personal encounter of Tanque Verde Ranch, straight out of the mouths of our Daily Mom editors, then be sure to check out The Daily Mom Travel Diary: Our 3 Days at the Best Dude Ranch in Arizona By Dani & Elena. 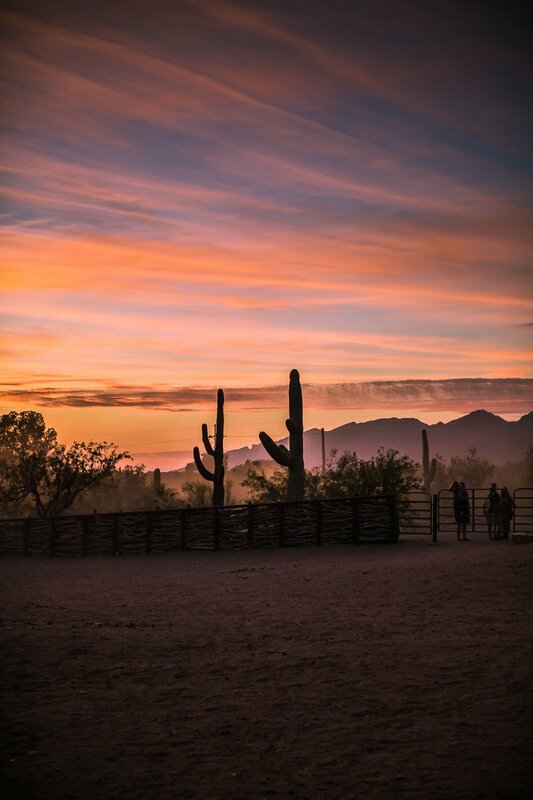 For all things Arizona, including places to stay, events, things to see and do, and more, be sure to visit Visit Arizona to get the Visitor’s Guide and start planning your trip using the most up to date and exclusive information available! 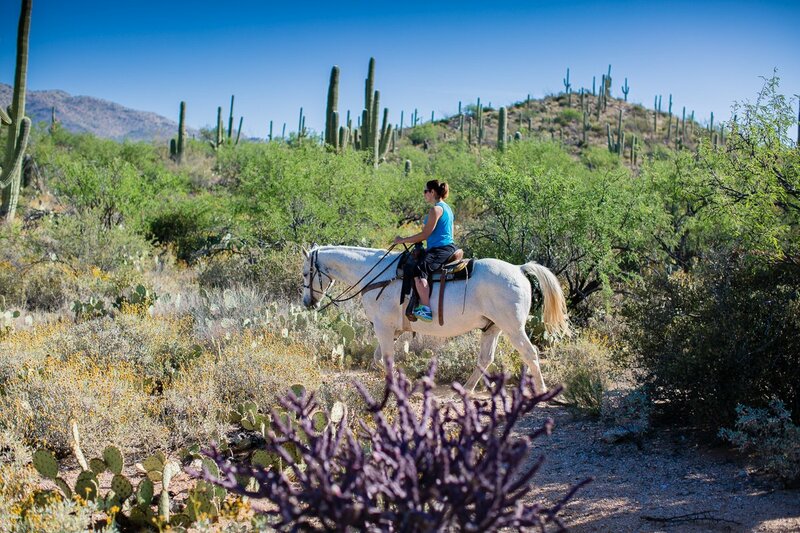 We’ve spent our spring break this year exploring the whole state of Arizona! 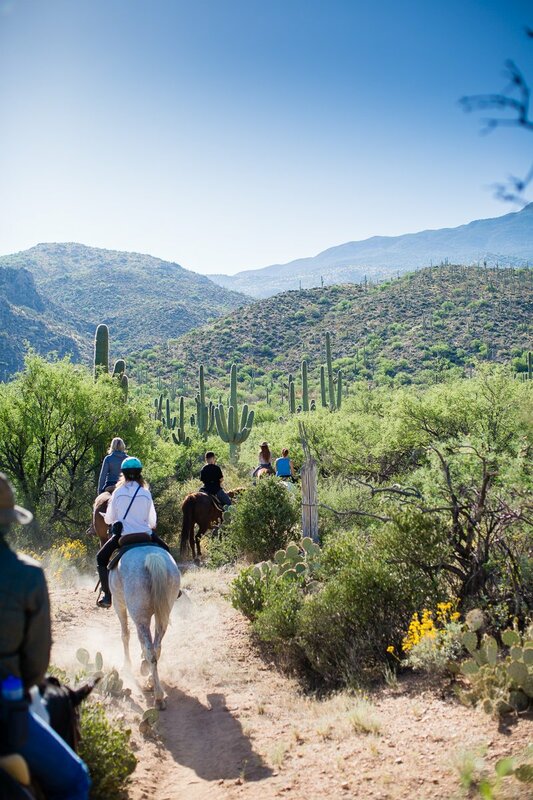 If you want to read all about our adventures and our favorites stops along the way, be sure to follow our TRAVEL page.